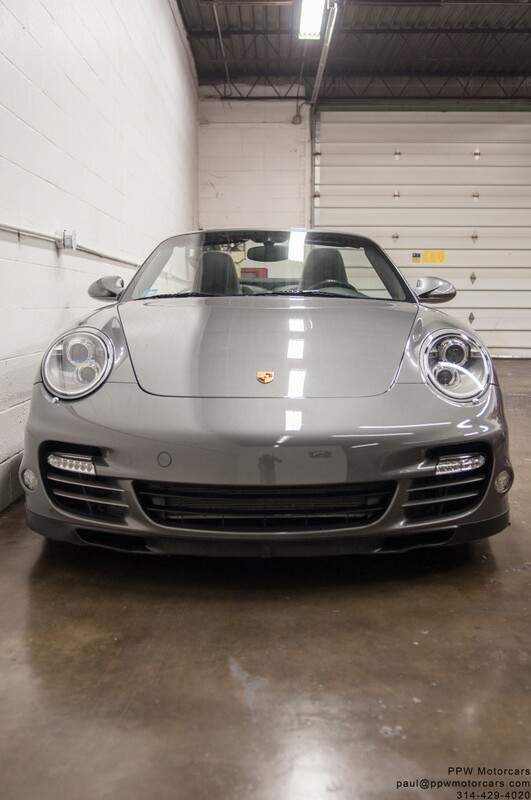 • Full Powertrain Warranty Until January 8, 2023 or 114,487 Miles!!! 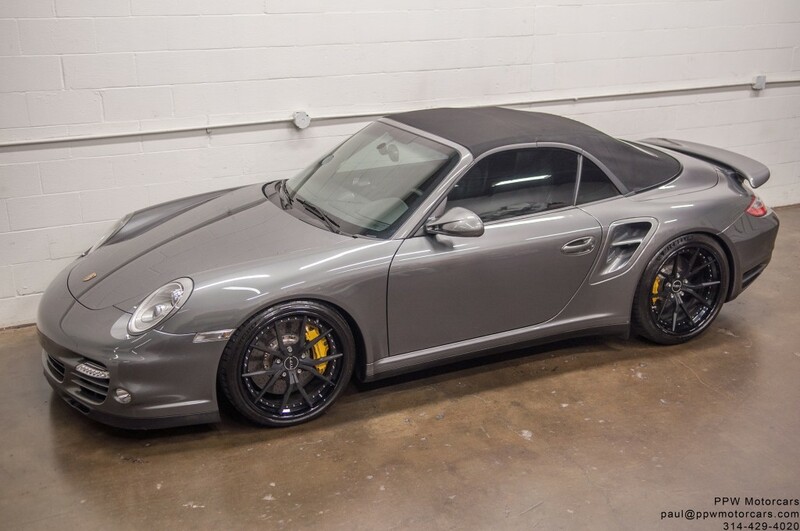 • Original and Fresh Performance Built 3.8L Twin Turbo Flat-6! 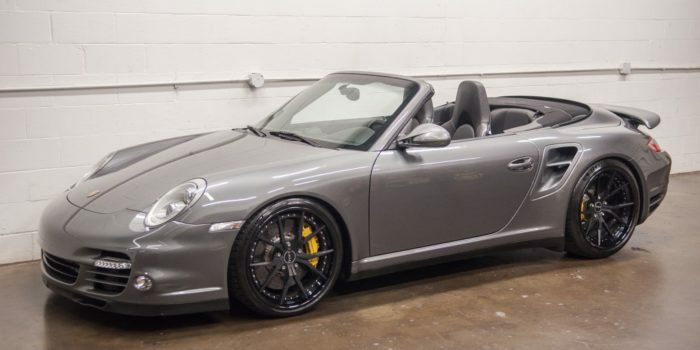 • Only 68,491 Original Miles! 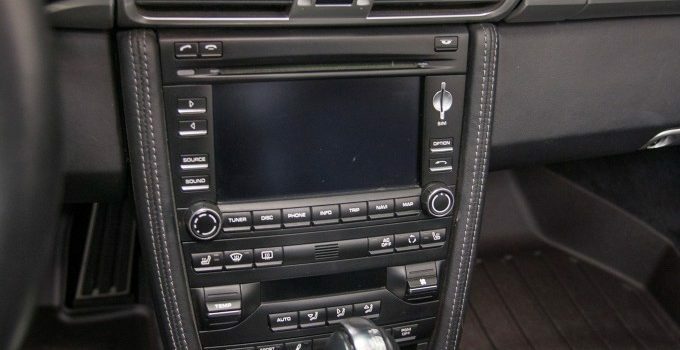 • Clean Carfax and AutoCheck, No Stories, No Excuses! 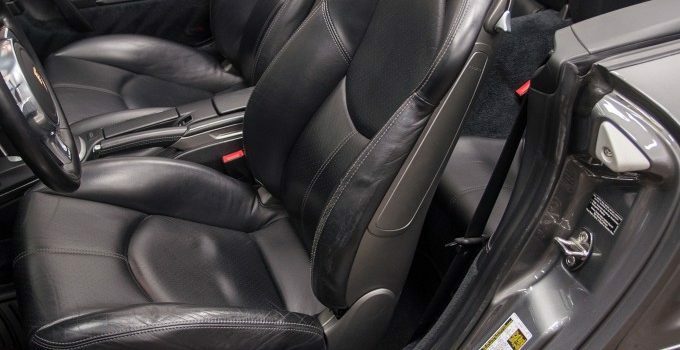 • All Original Manuals, Books, and Literature! 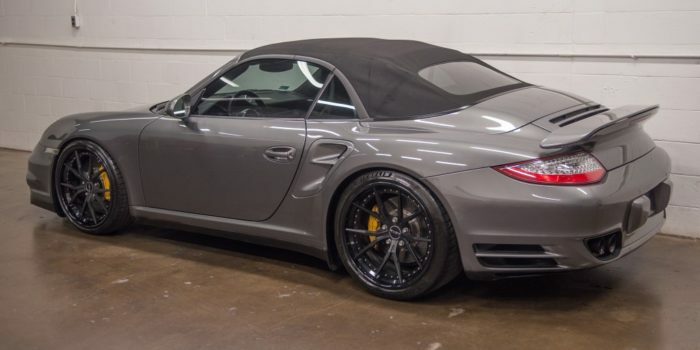 • Highly Desirable Meteor Grey Metallic Exterior! 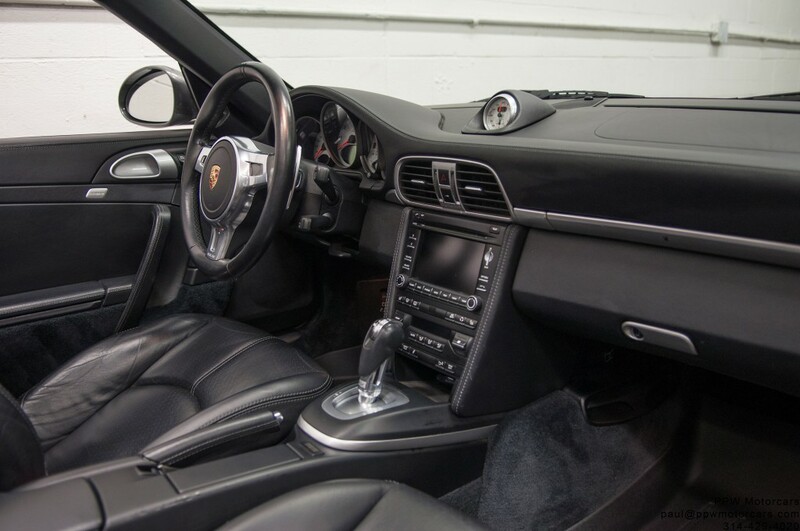 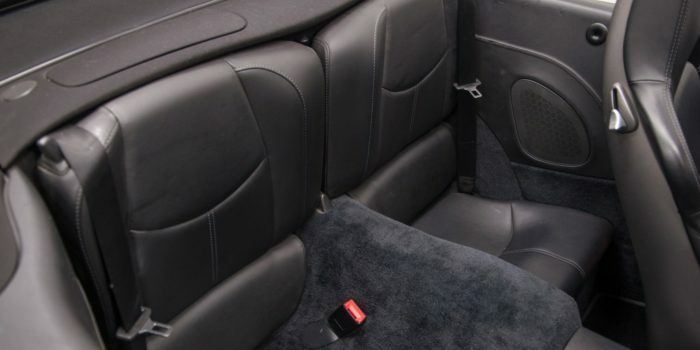 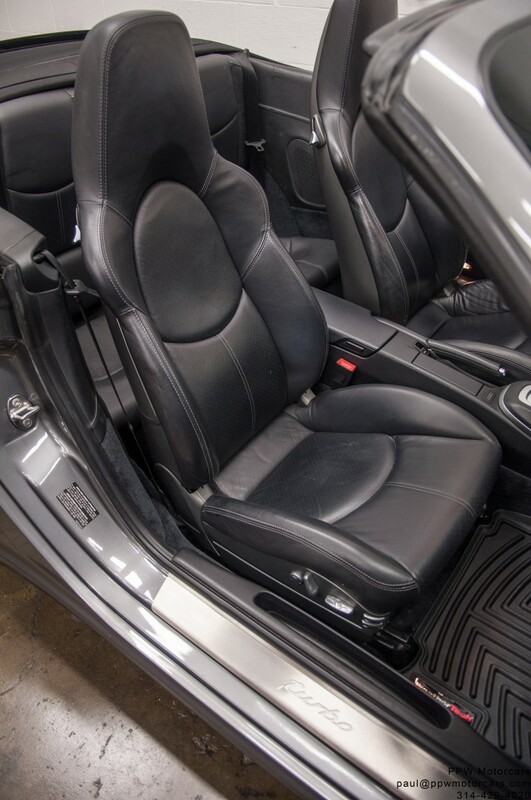 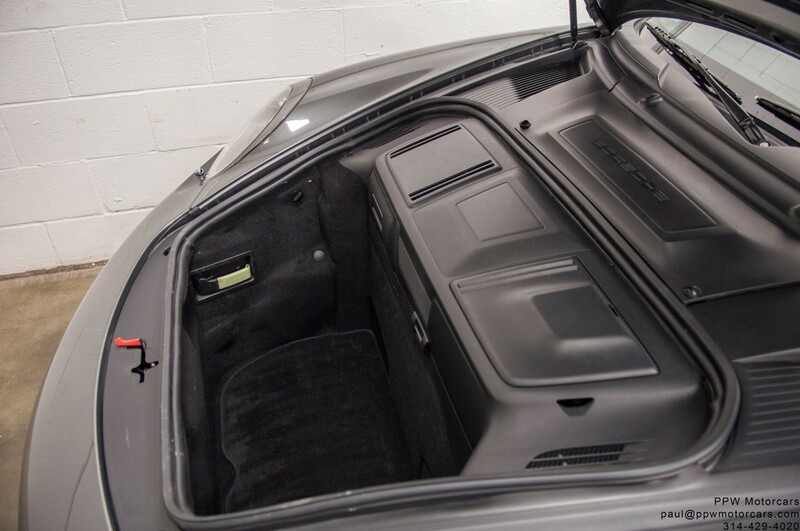 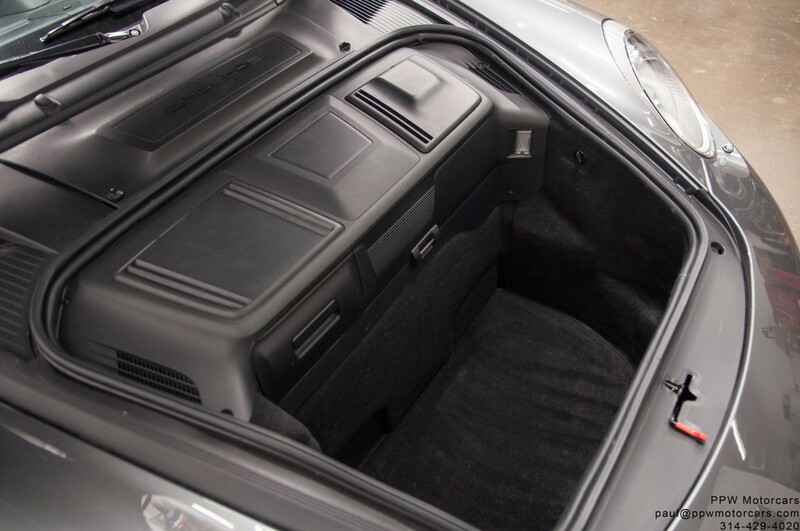 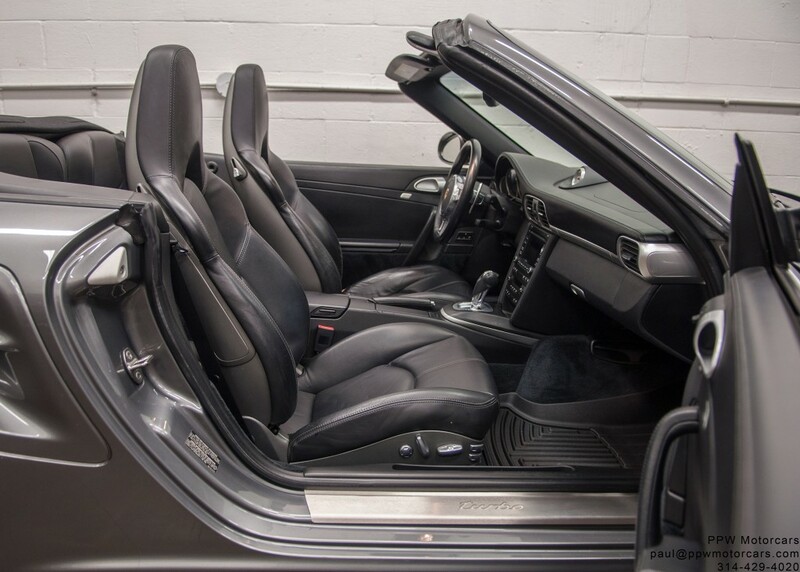 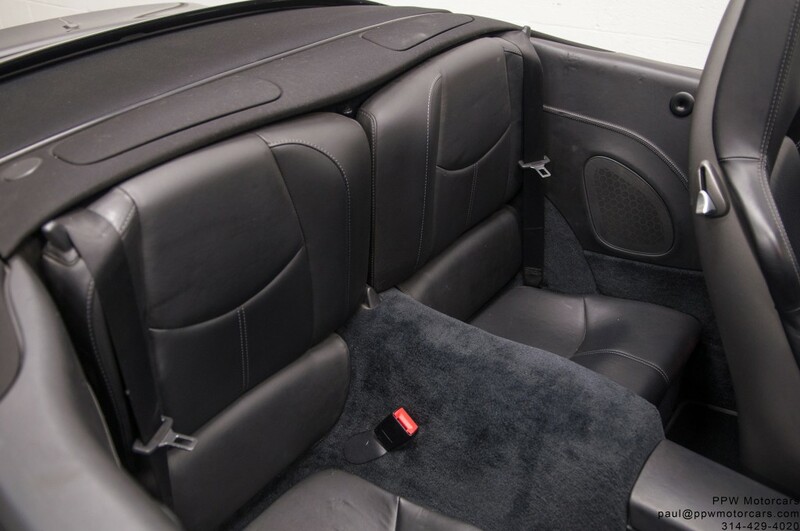 • Soft and Supple Black Full Leather Interior! 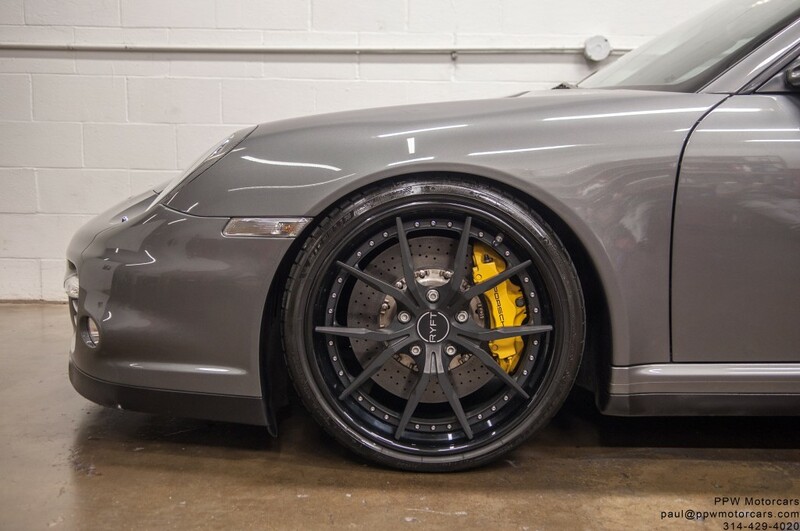 • Bespoke Forged Ryft Wheels (Over $10,000, ask for production photos) and Michelin Pilot Sport 4S Tires! 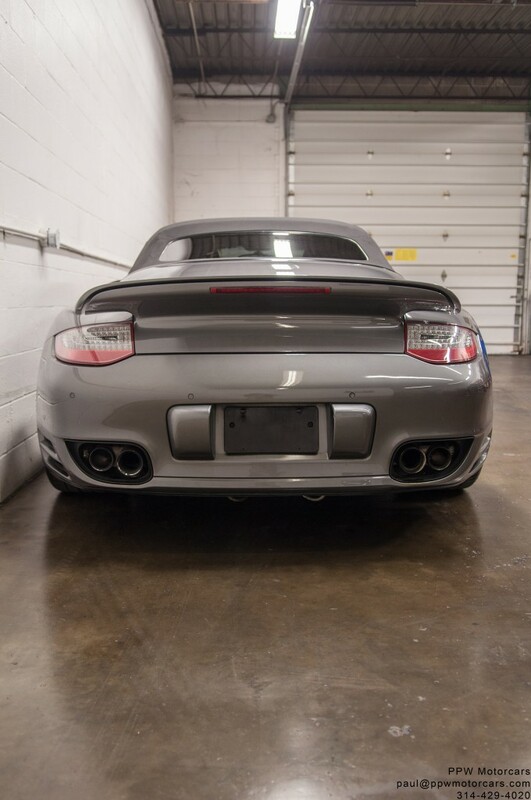 • Just Passed Safety and Emissions! 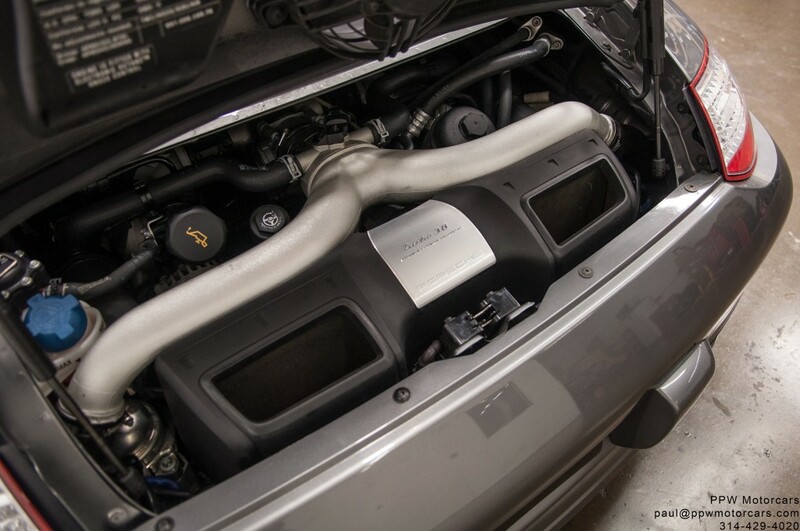 • Fresh Complete Engine Build from EvoSpec, Over $30,000 Invested! 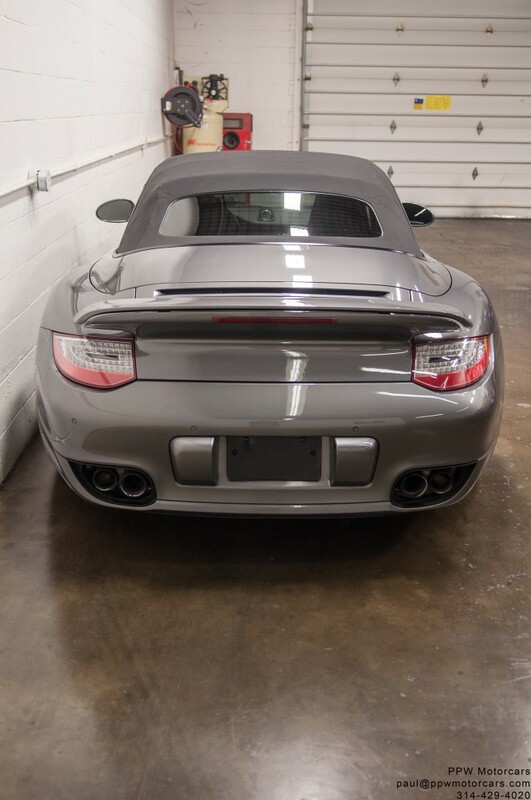 • Just Serviced and Ready to be Enjoyed Today! 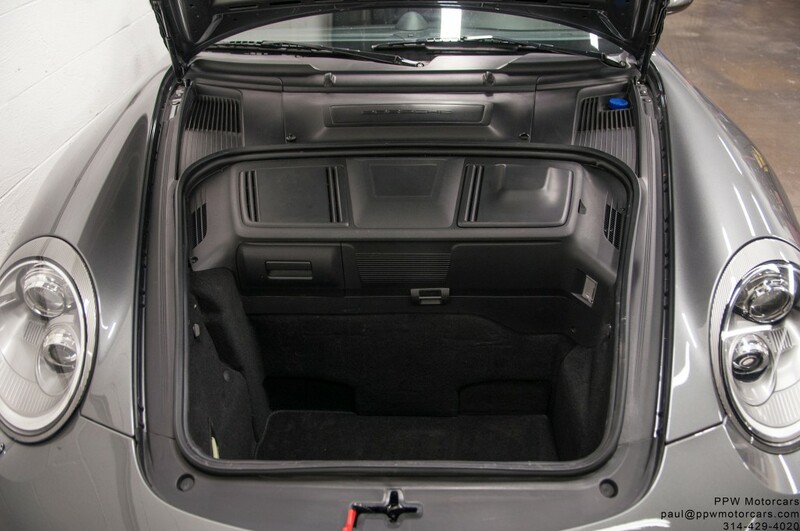 Call 618-791-4020 today for a worldwide shipping quote! 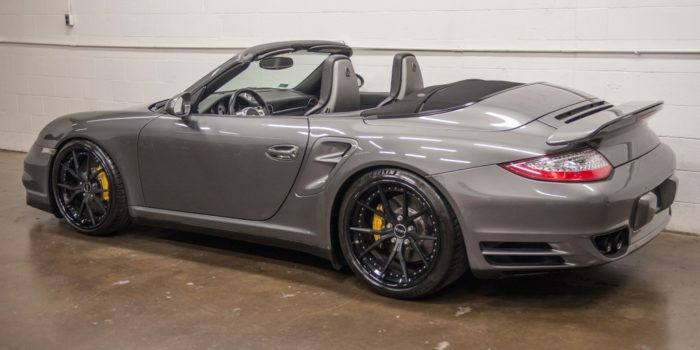 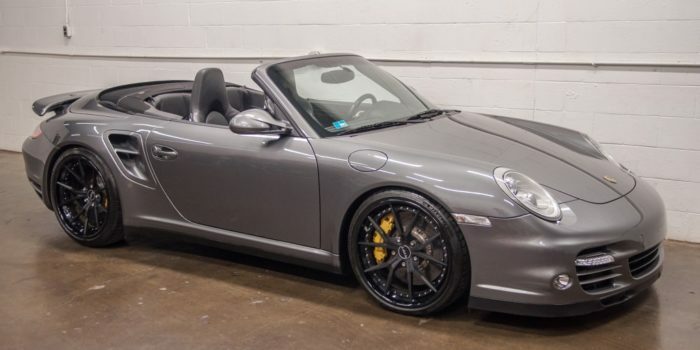 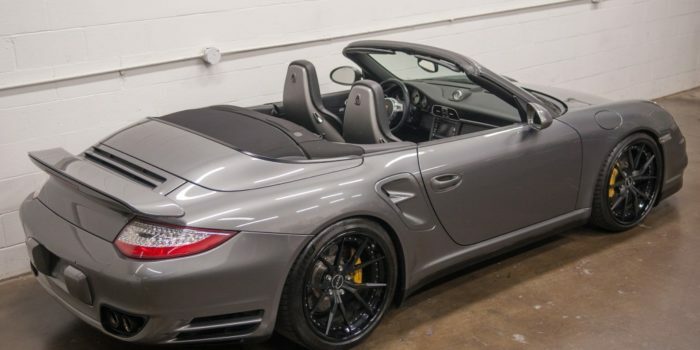 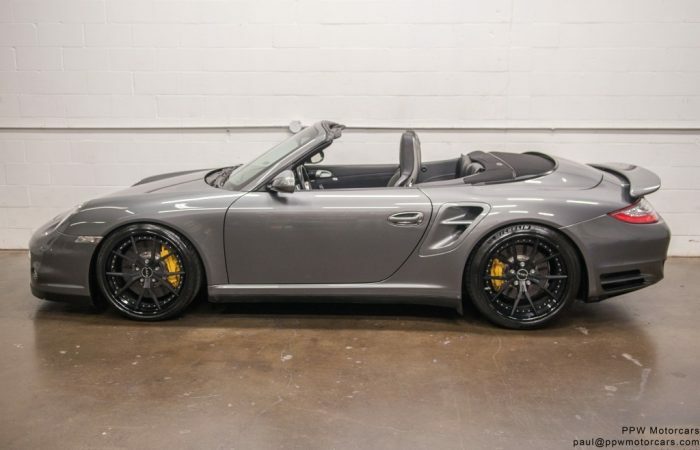 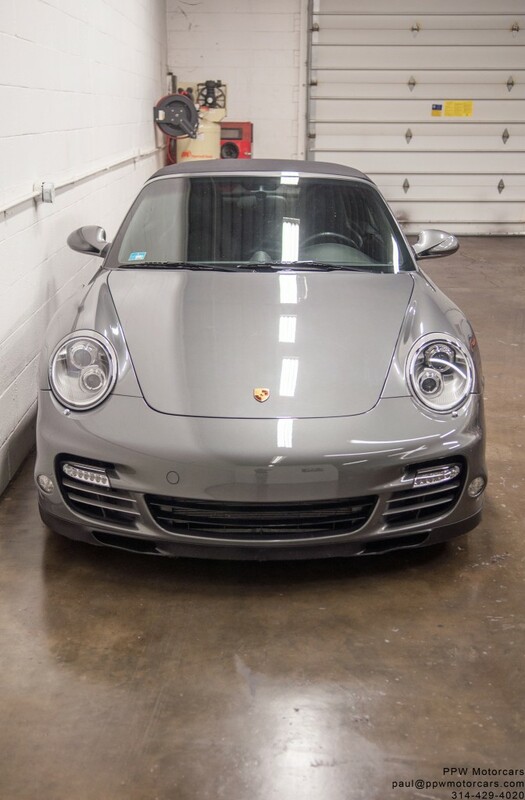 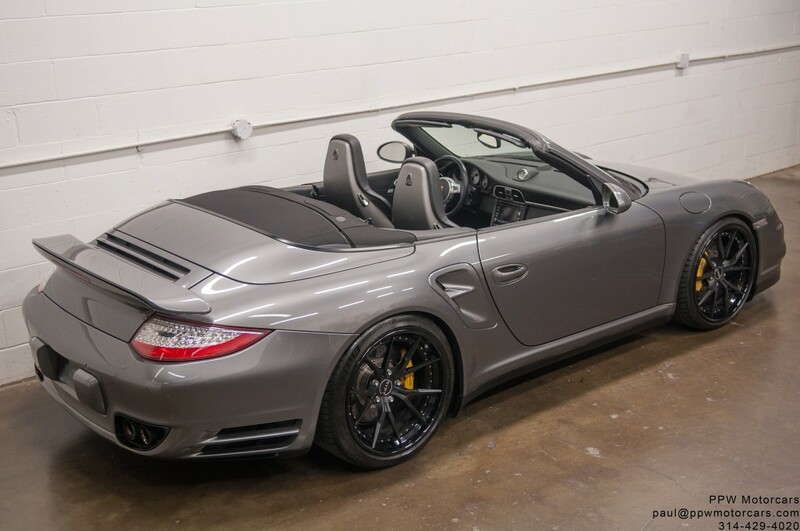 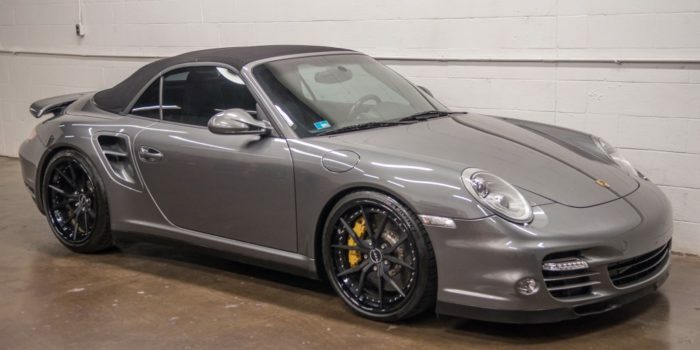 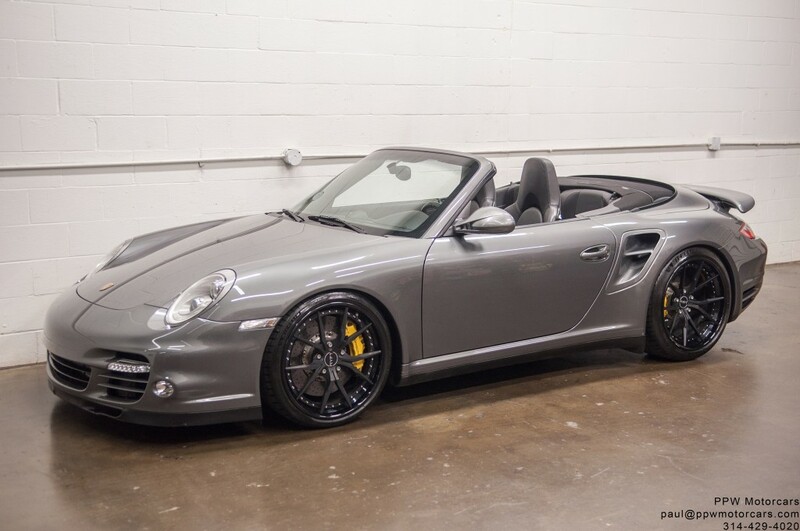 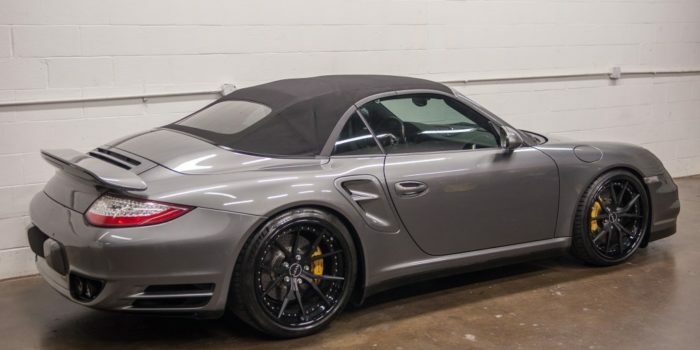 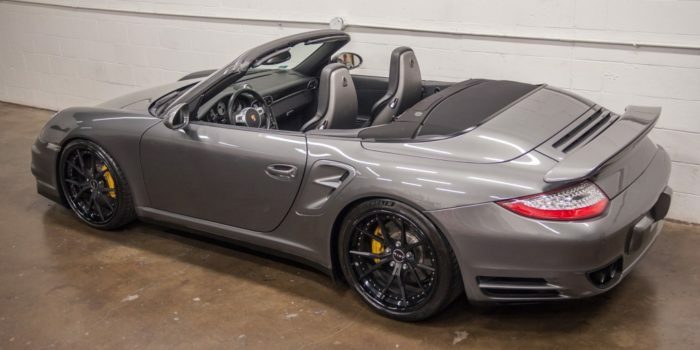 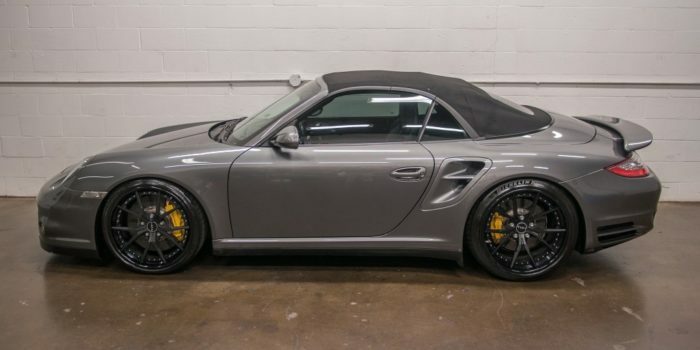 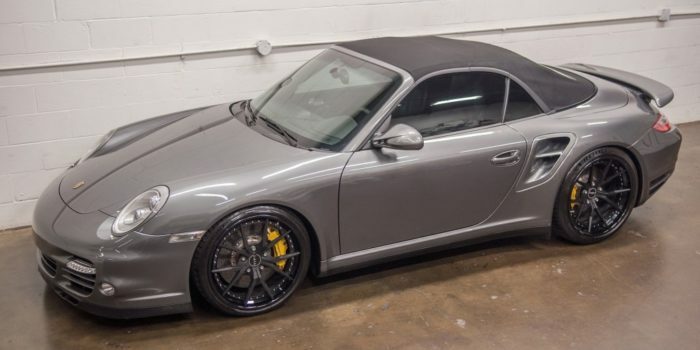 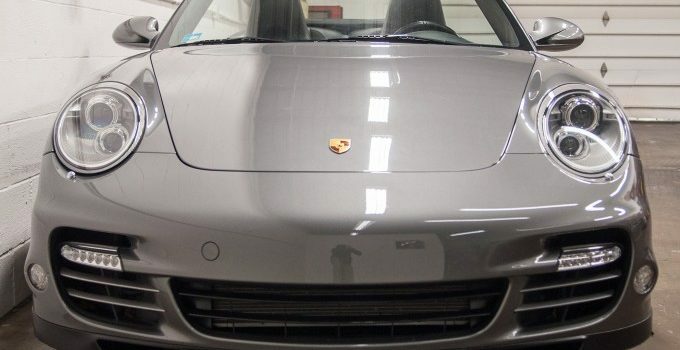 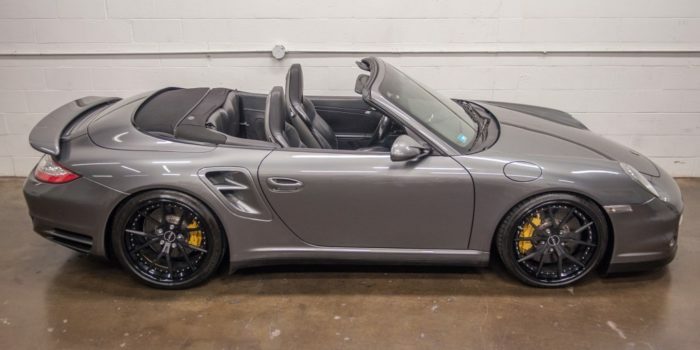 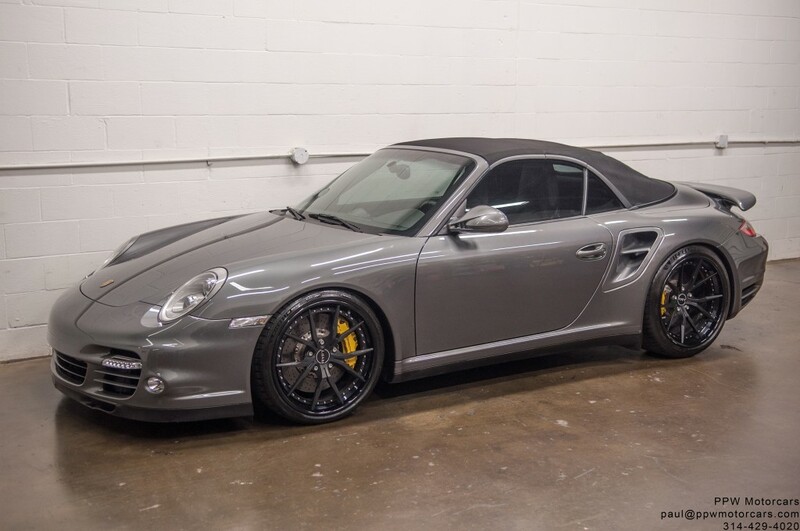 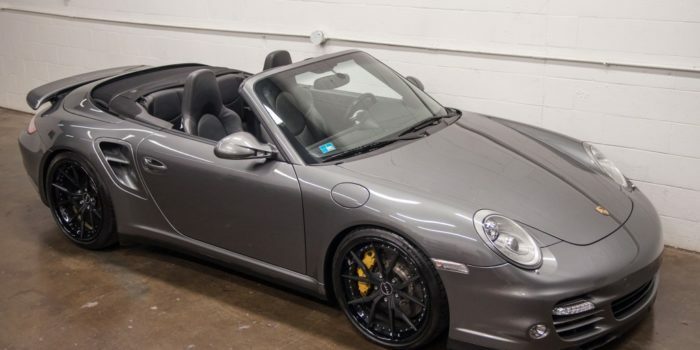 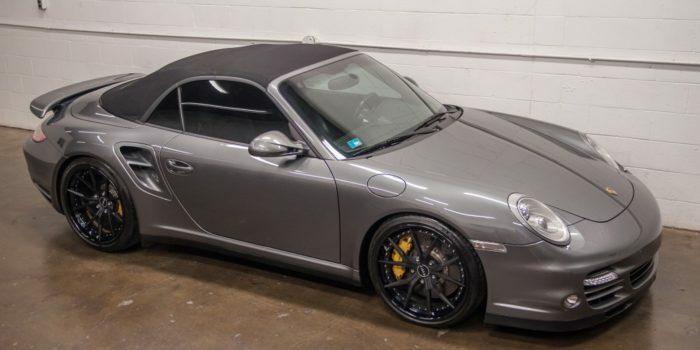 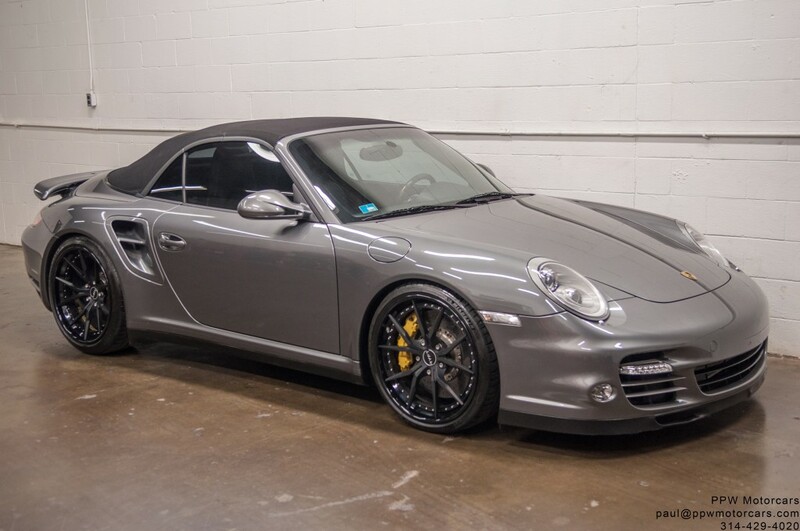 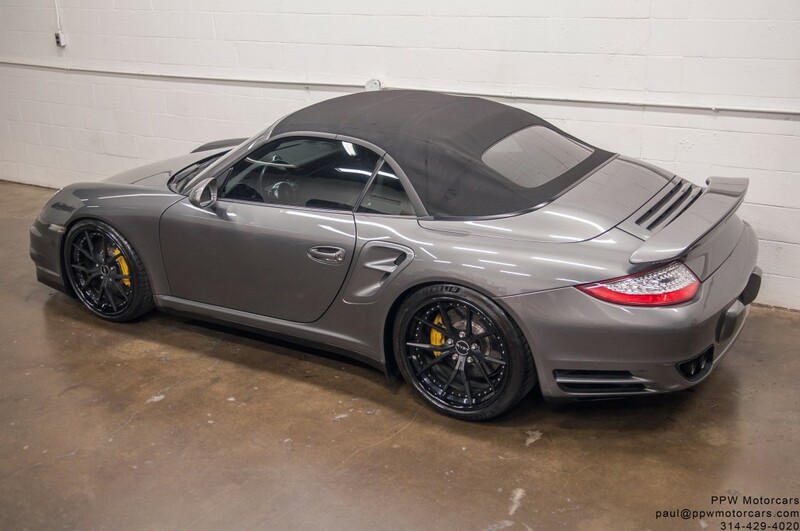 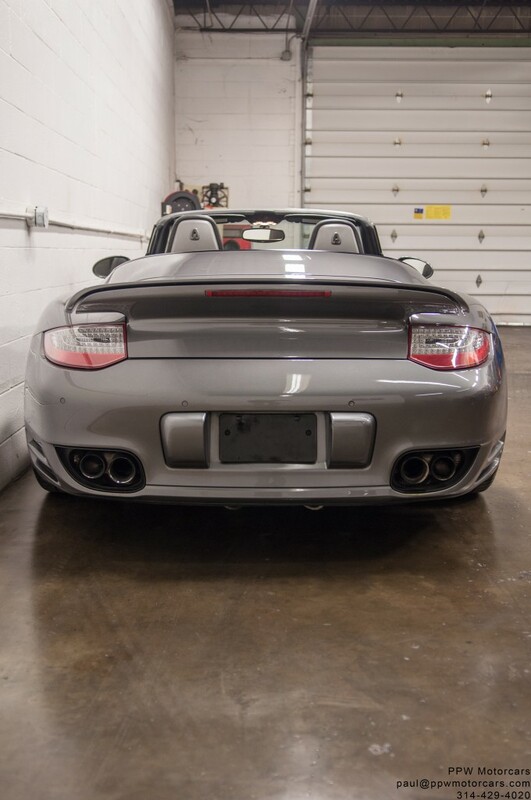 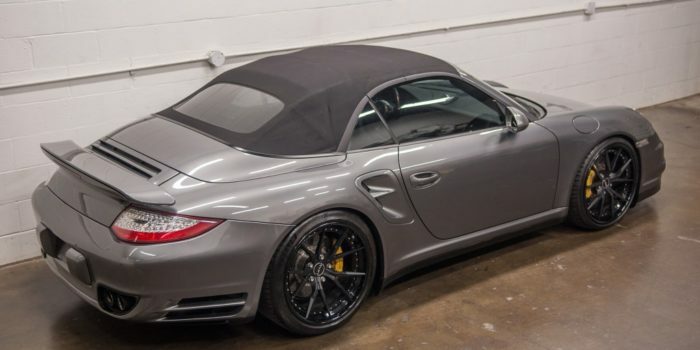 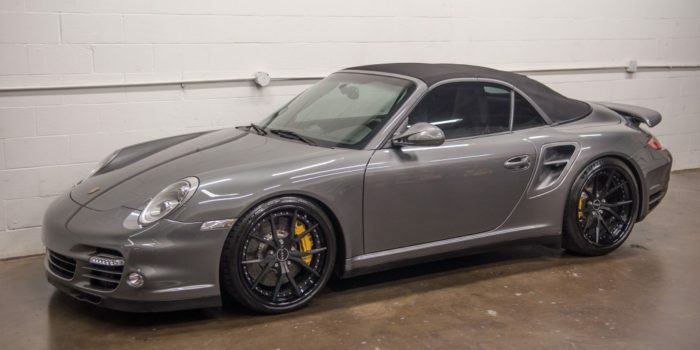 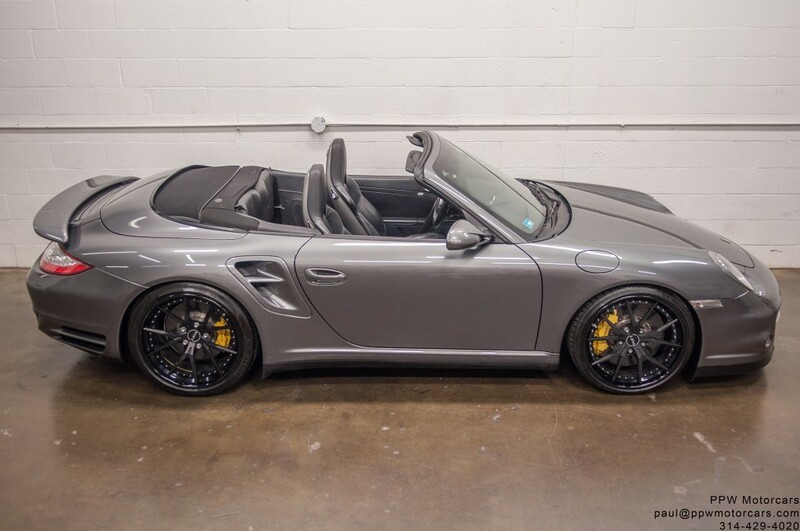 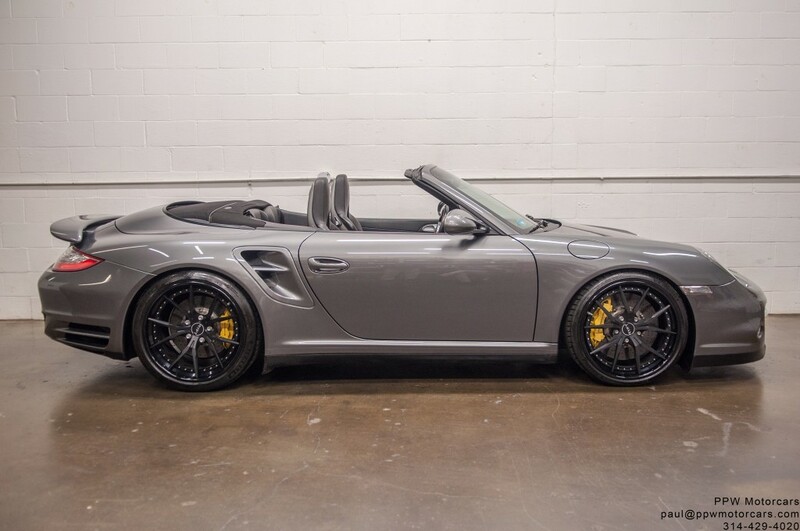 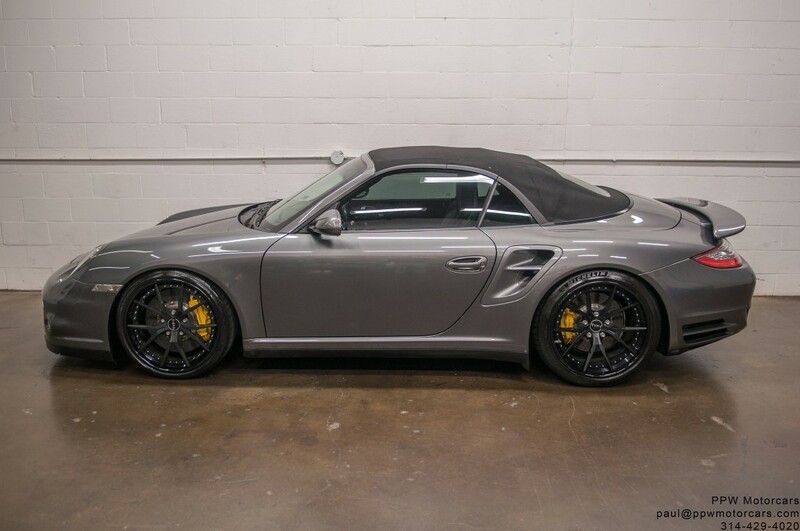 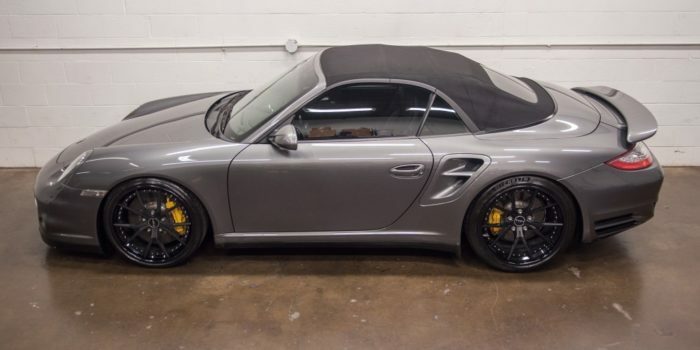 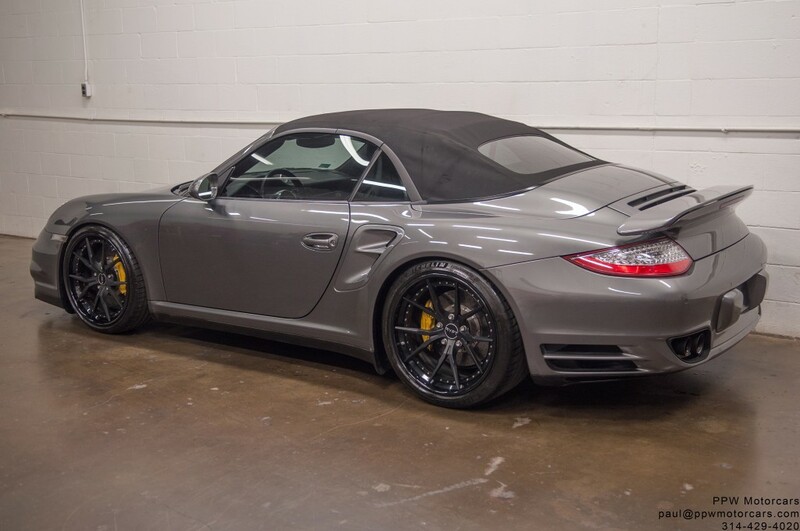 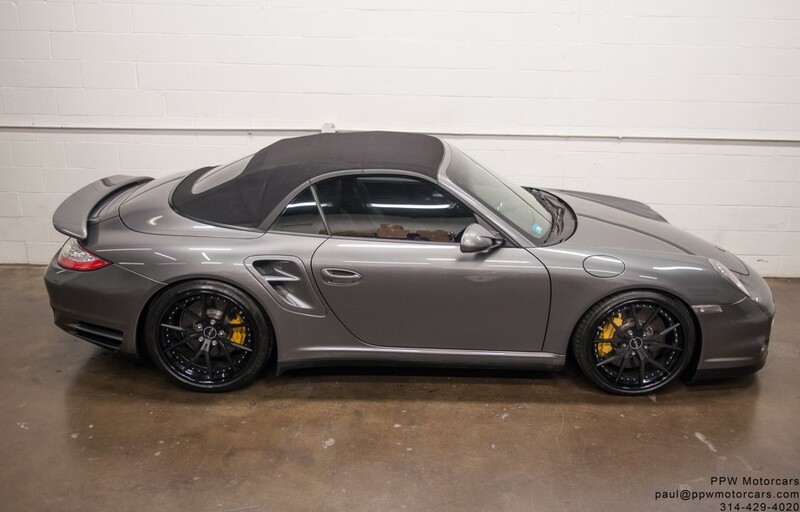 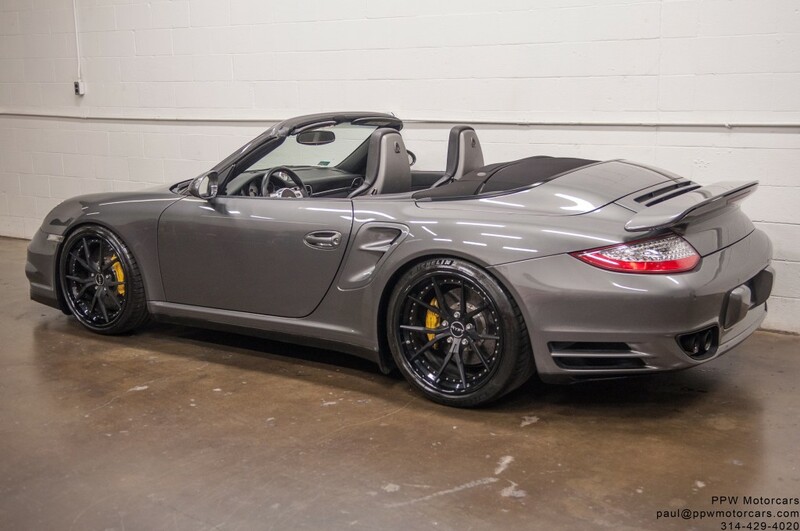 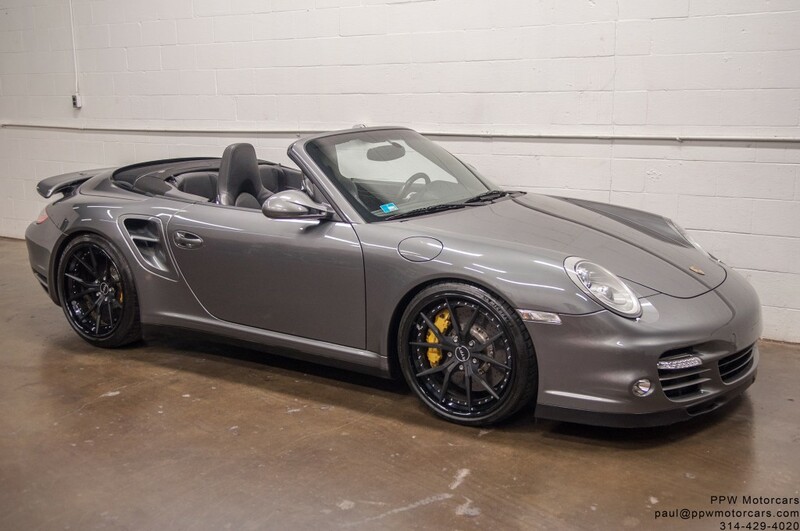 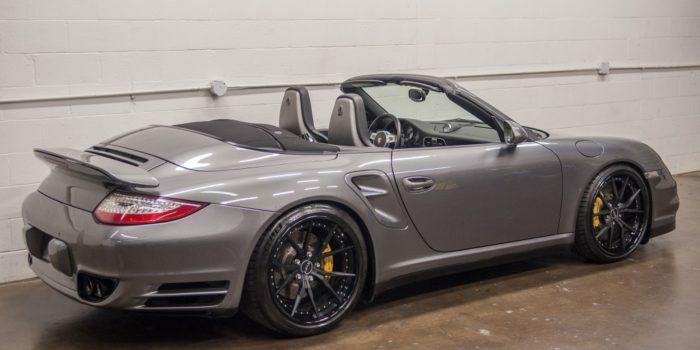 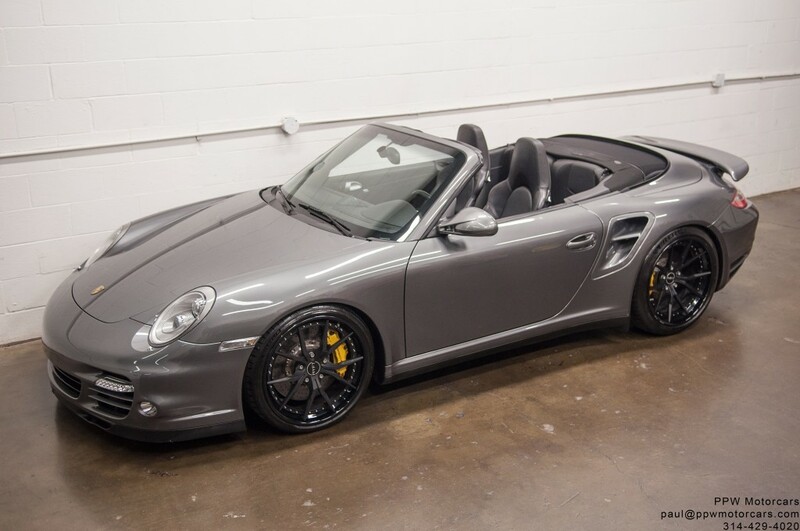 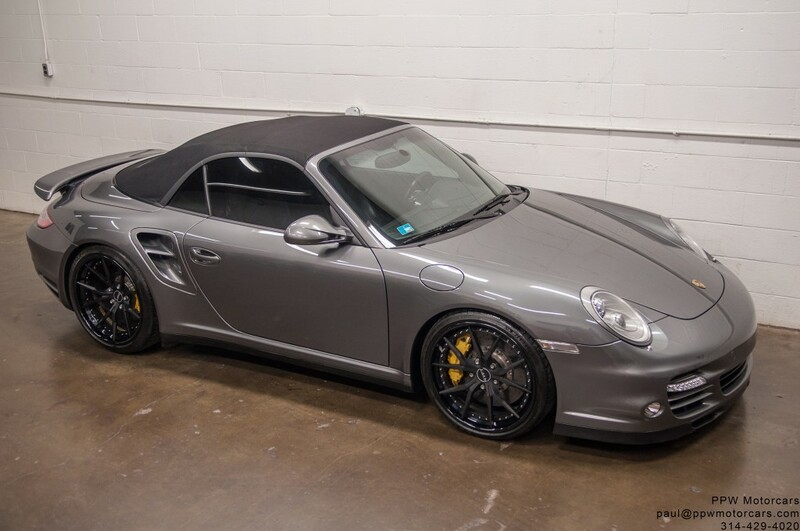 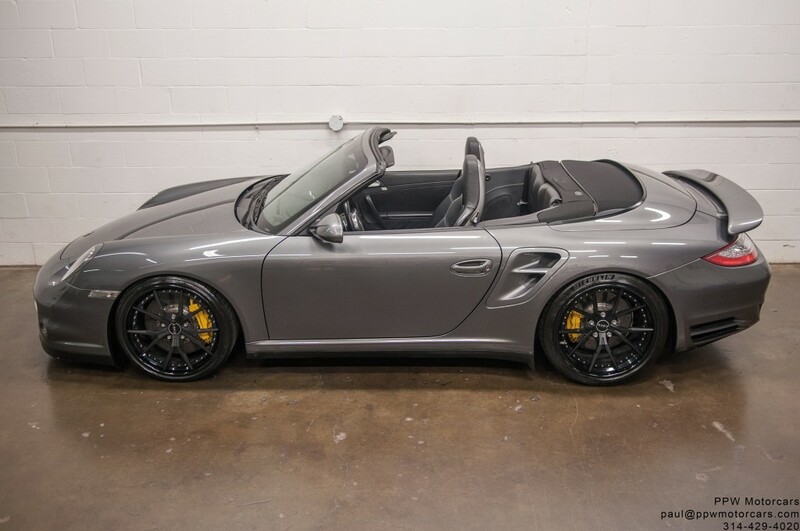 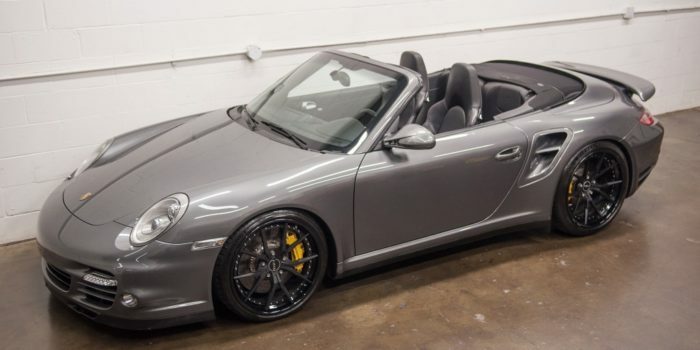 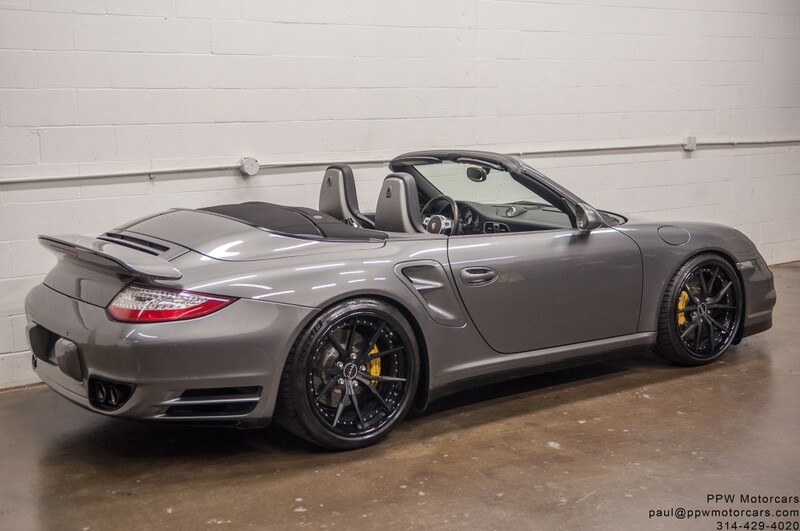 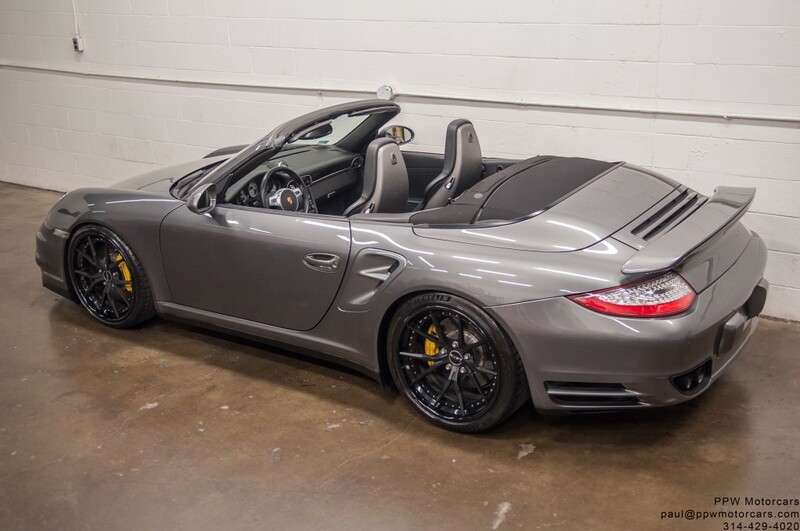 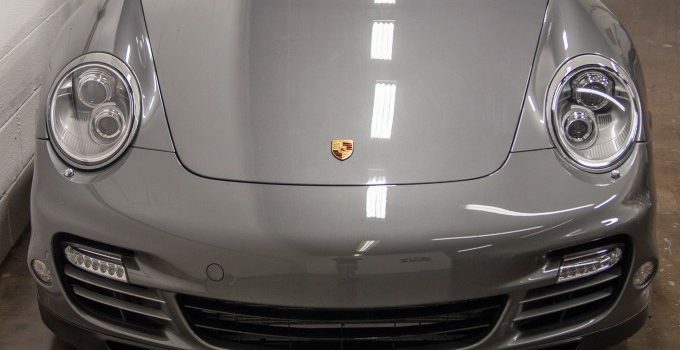 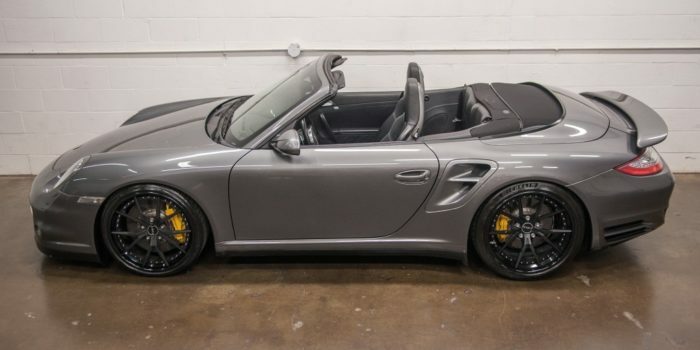 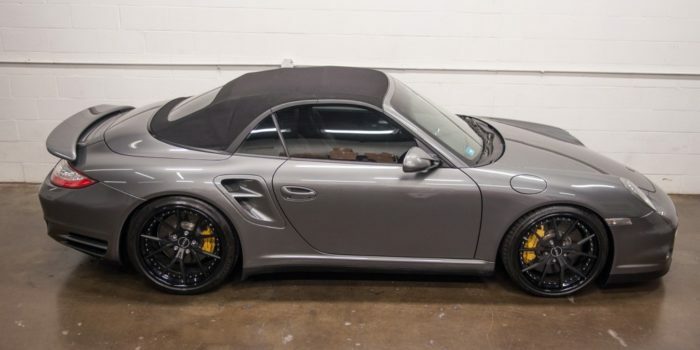 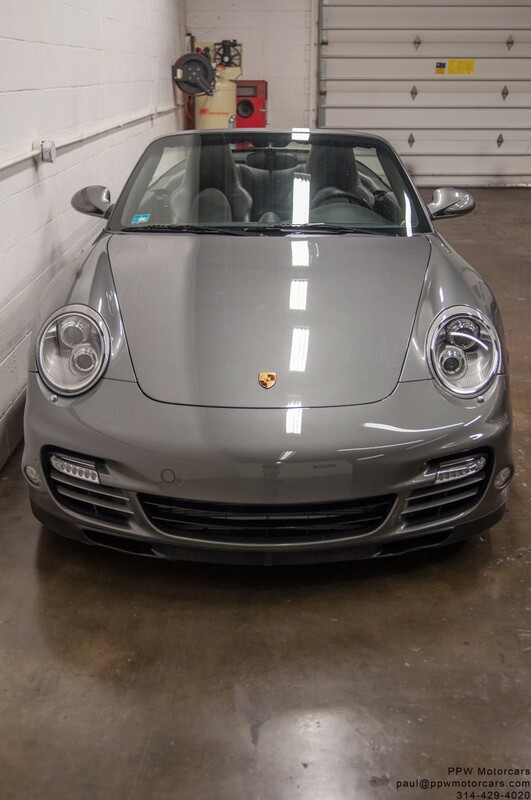 PPW Motorcars is pleased to offer this 2010 Porsche 911 Turbo Cabriolet in the classic Meteor Grey Metallic over a soft and supple Black Full Leather interior! 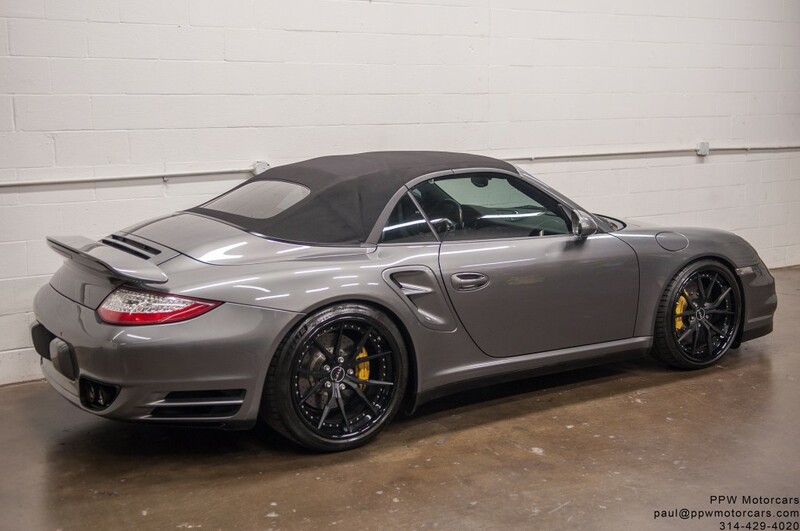 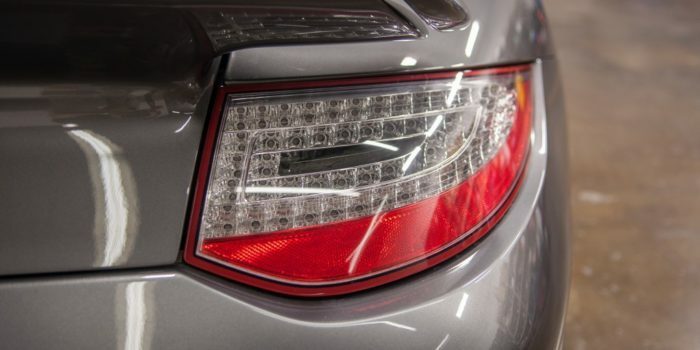 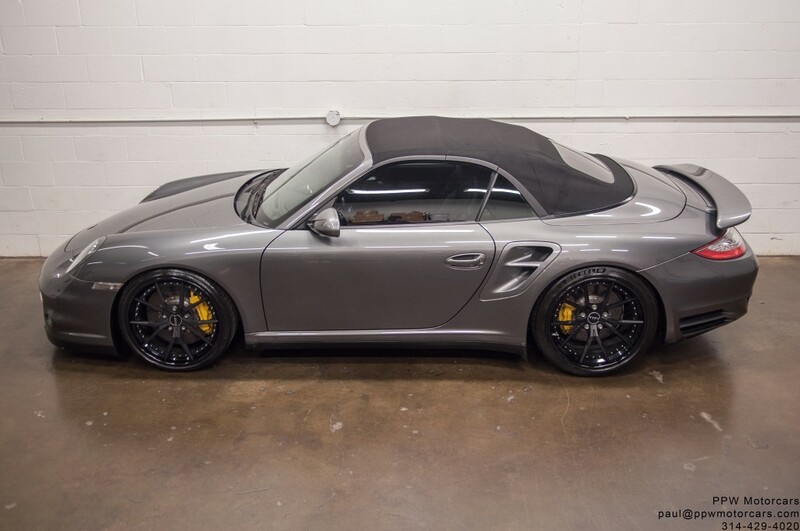 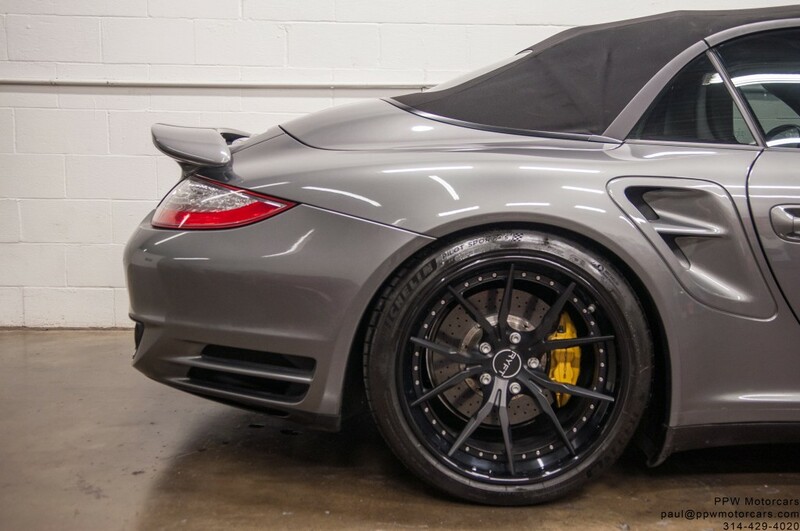 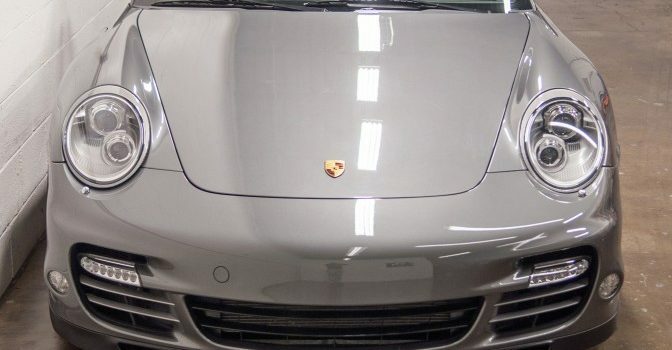 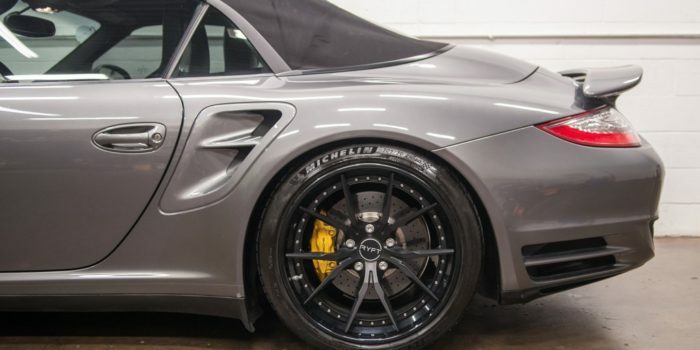 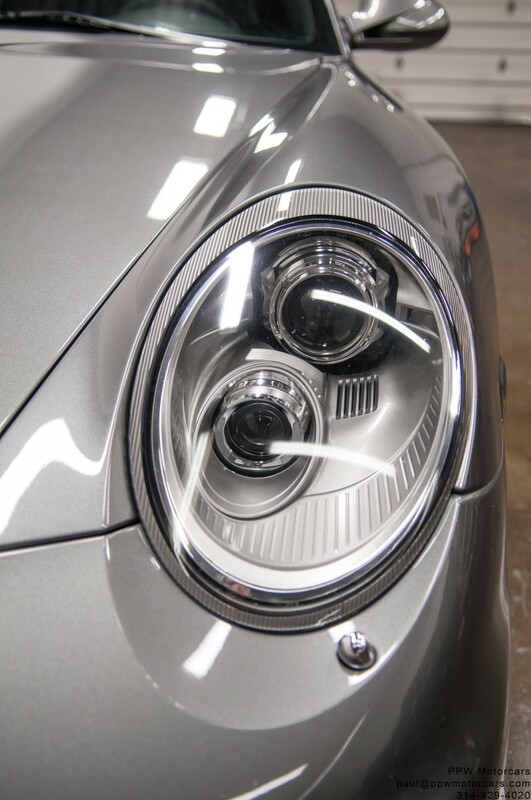 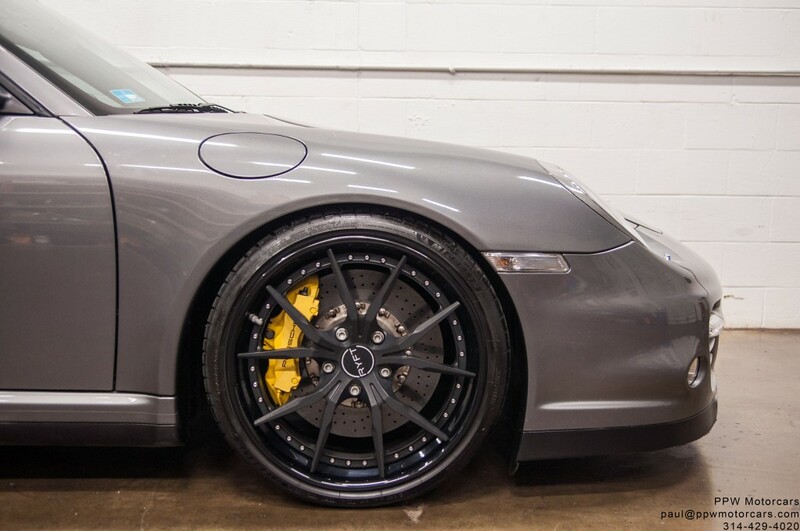 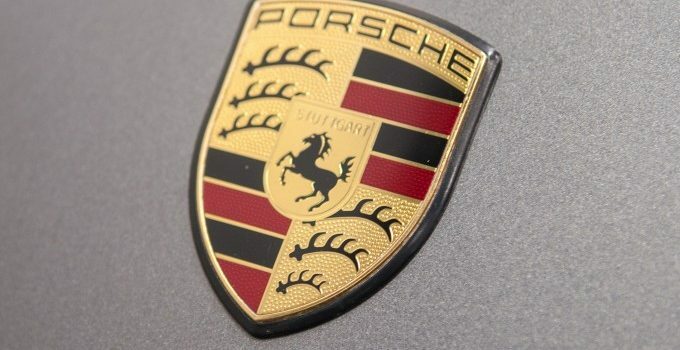 This vehicle was spectacularly ordered and ordered by the best, Porsche North America. 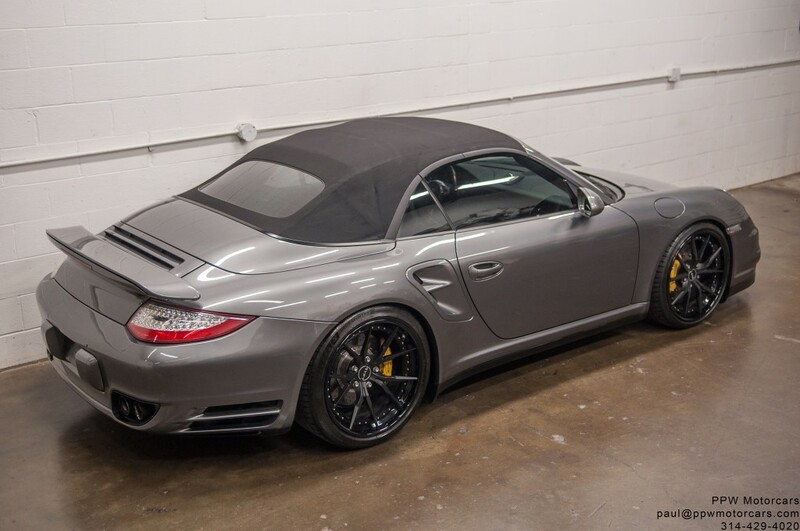 This was a launch vehicle that was optioned to showcase what Porsche had to offer with their new 997.2 Turbo in 2010. 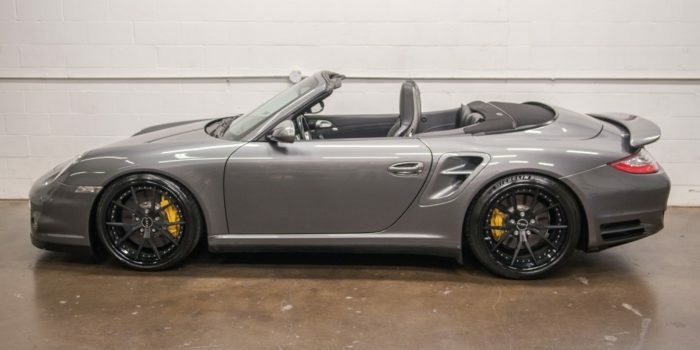 As such, this vehicle had an incredible option list and has a higher MSRP than many Turbo S’s of the next model year. 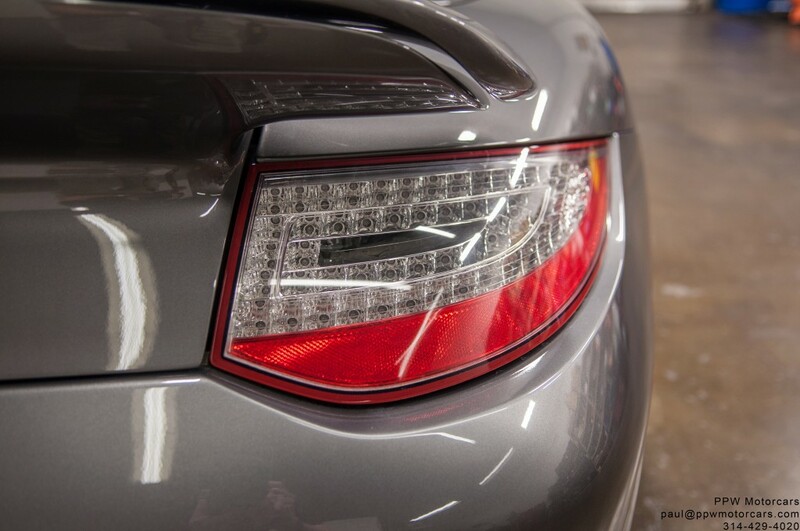 Further, as many know, the only difference between a Turbo and a Turbo S is the way they are optioned. 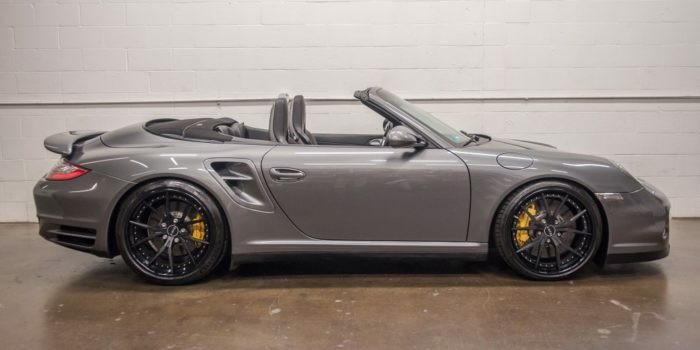 In short, you could order a Turbo and put the same options on it that Turbo S’s came standard with and they would be 100% identical cars. 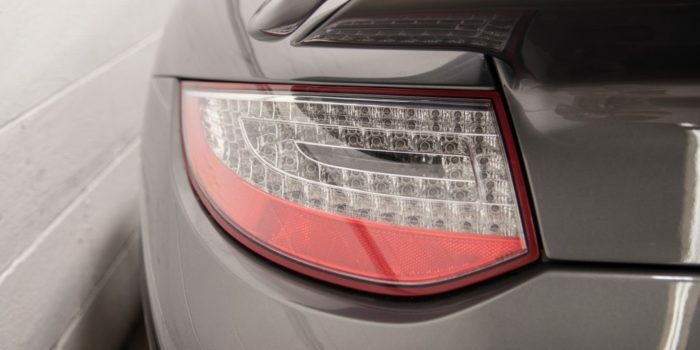 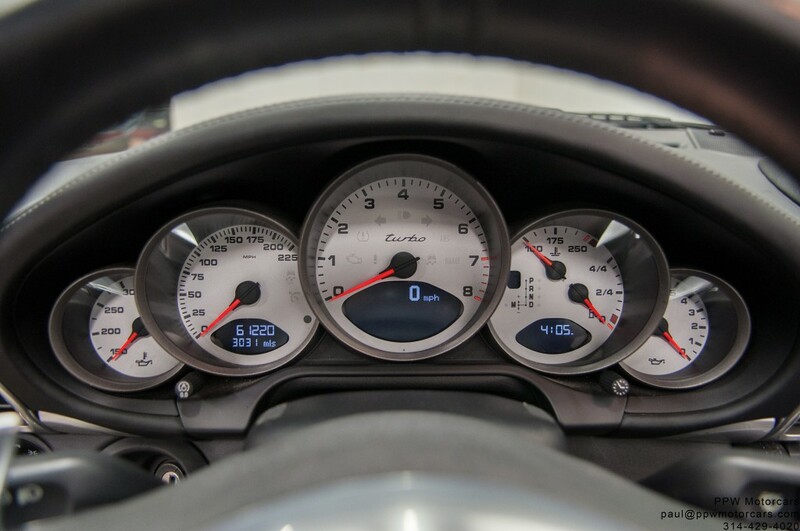 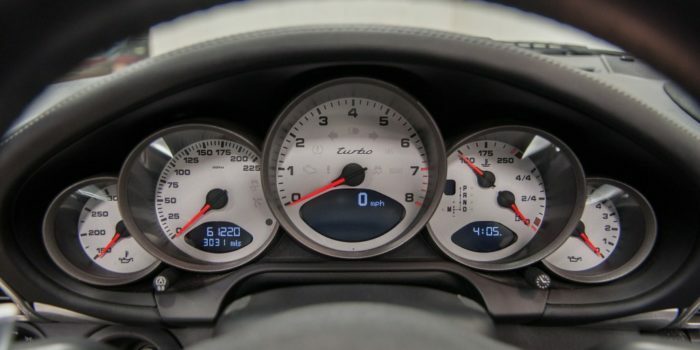 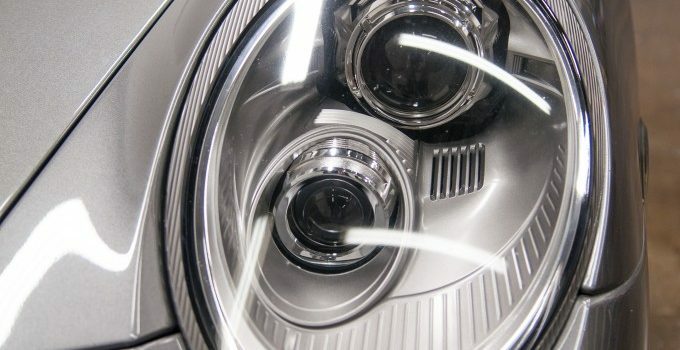 The Turbo S did not have any mechanical differences from the Turbo. 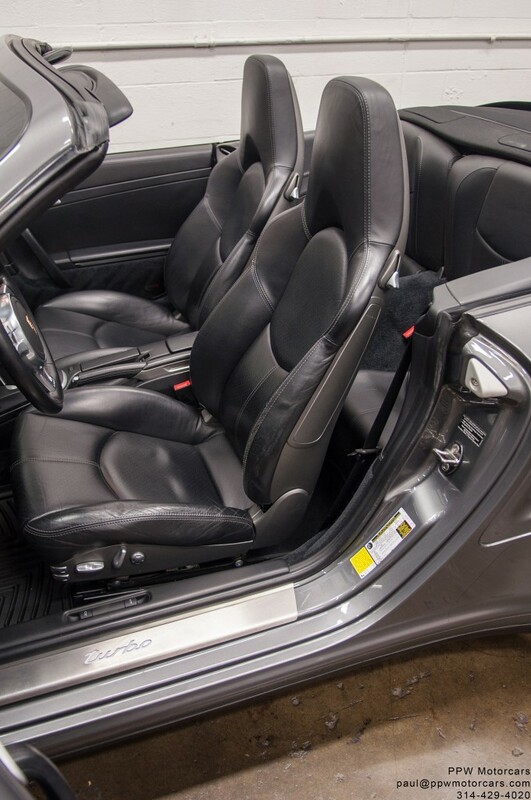 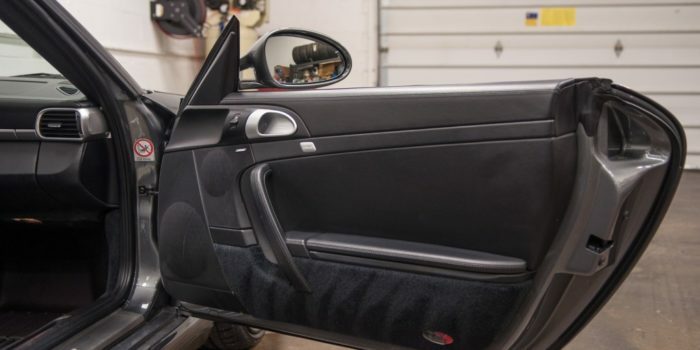 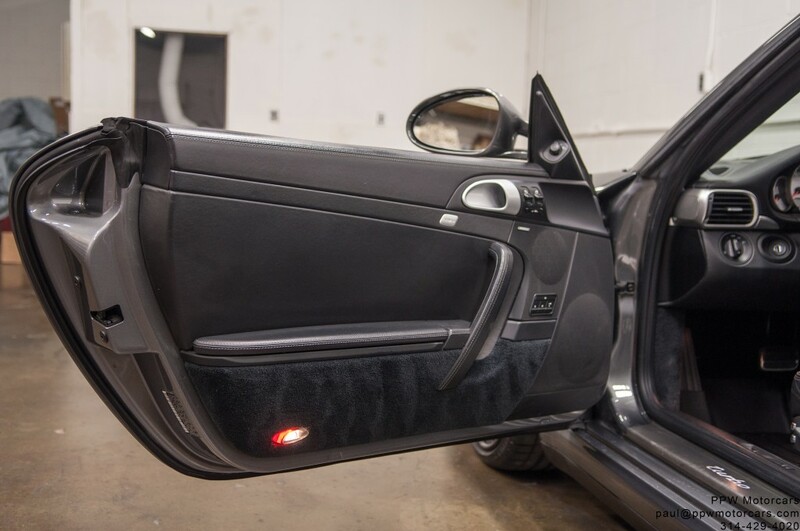 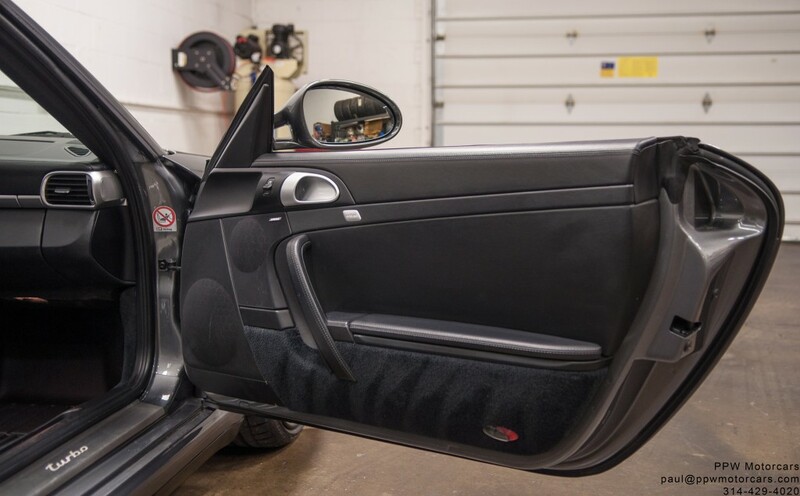 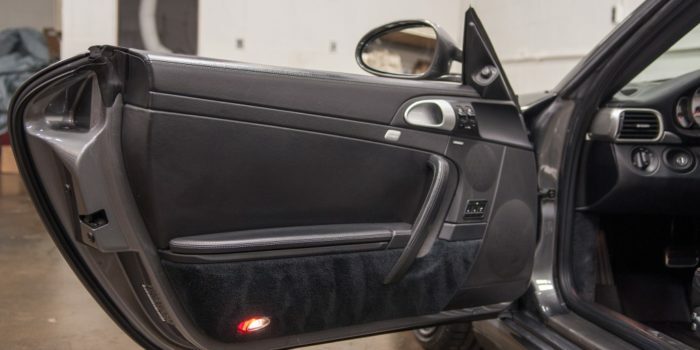 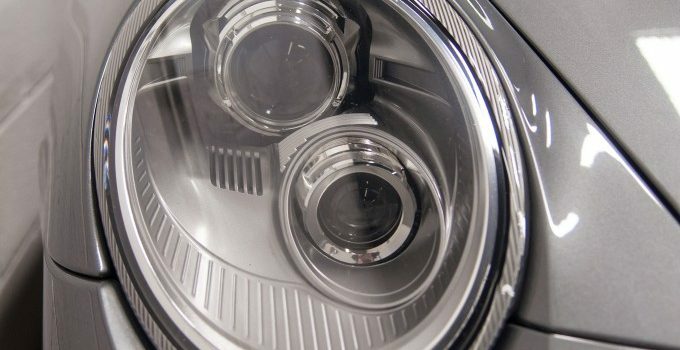 Seeing a Turbo with this level of trim was unusual as selling a vehicle with such a high MSRP in the first year would have been difficult but again, this was designed to sit on the showroom floor and demonstrate what their top of the line vehicle could be. 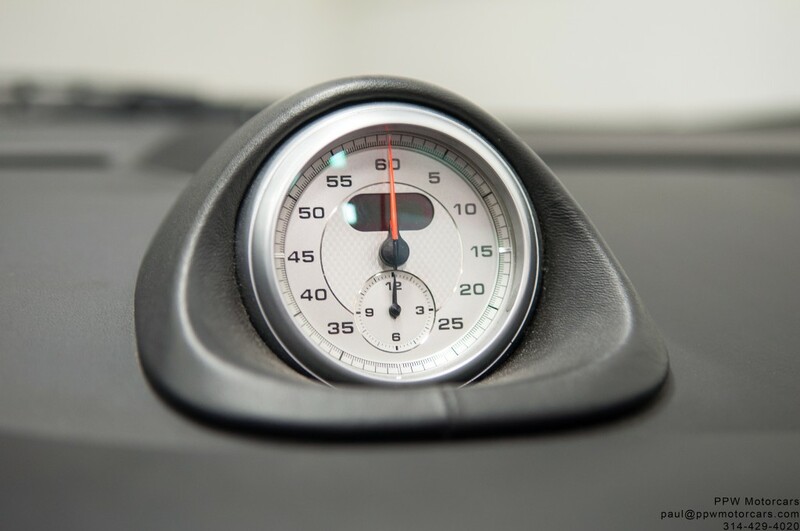 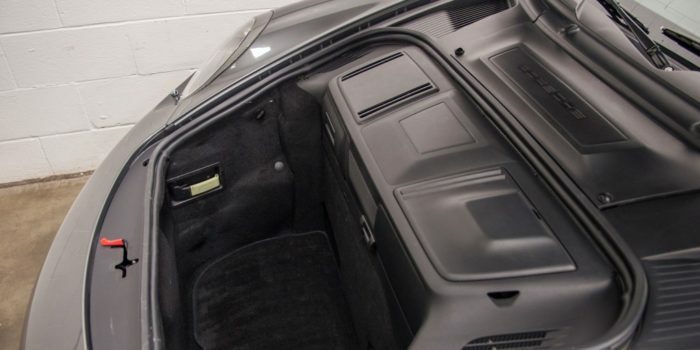 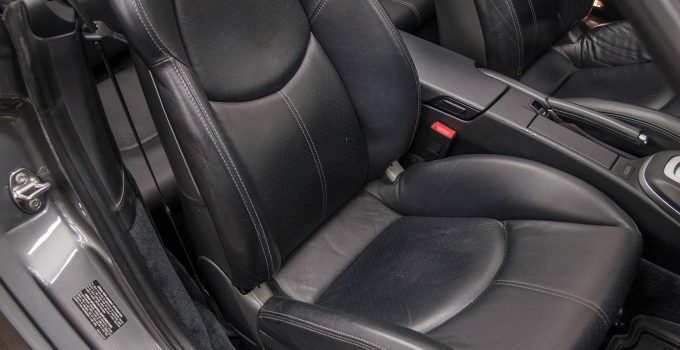 This particular vehicle has been extraordinarily well cared for during the previous owner’s time and has been maintained with an open checkbook philosophy rarely seen on any vehicle. 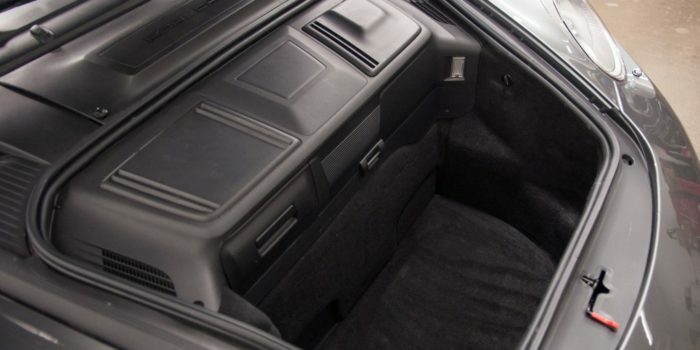 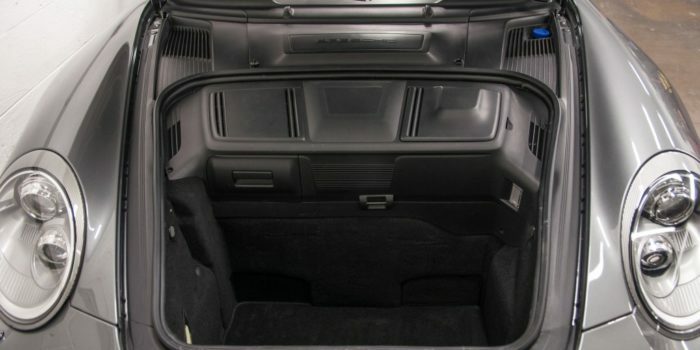 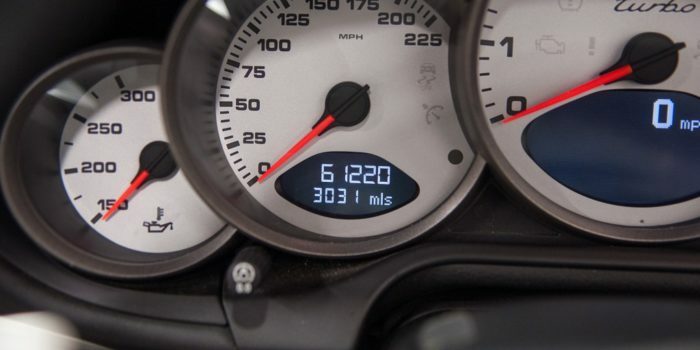 It was a Southern California car for its entire life and this shows in the incredible condition, showing as a vehicle with a third of the miles. 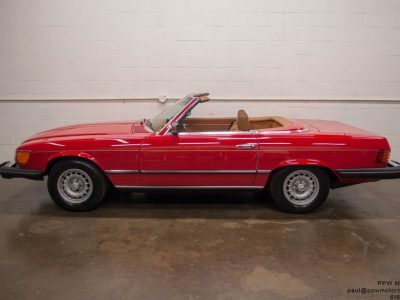 Further and perhaps most important, this vehicle has just had a complete and massive engine rebuild to ready it for any level of power the next owner would wish to make. 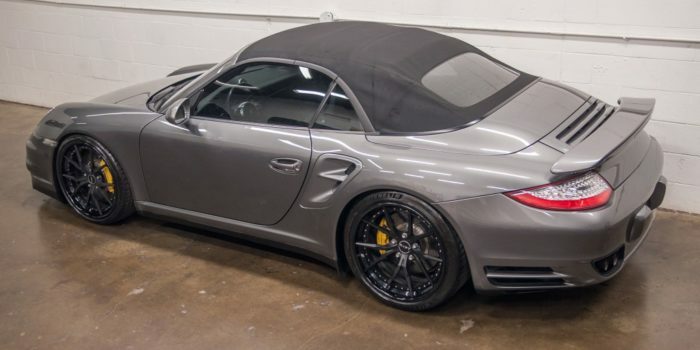 The main components are all new and designed by John Bray at EvoSpec, who is known for making 9,000rpm 1,200hp 997.2 and 991 Turbo’s. 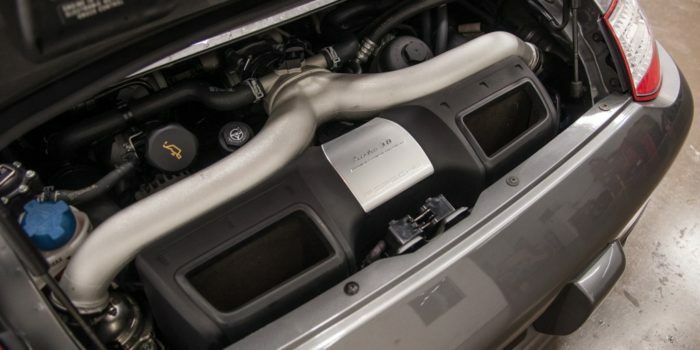 The internals are the absolute best money can buy and are rated to right around 1,000HP. 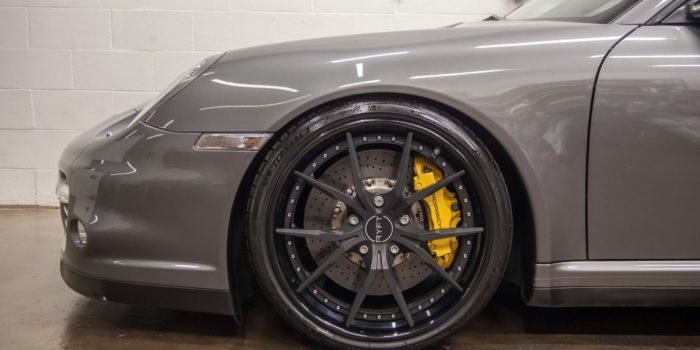 The crankshaft is by EvoSpec and upgraded to allow for better oiling, the Rods are by Carillo and designed for EvoSpec, the Rod Bolts are by CARR, the Coated Pistons are by CP and designed for EvoSpec (complete with rings, thick wrist pins, and the sort), and the Head Studs are by APR. 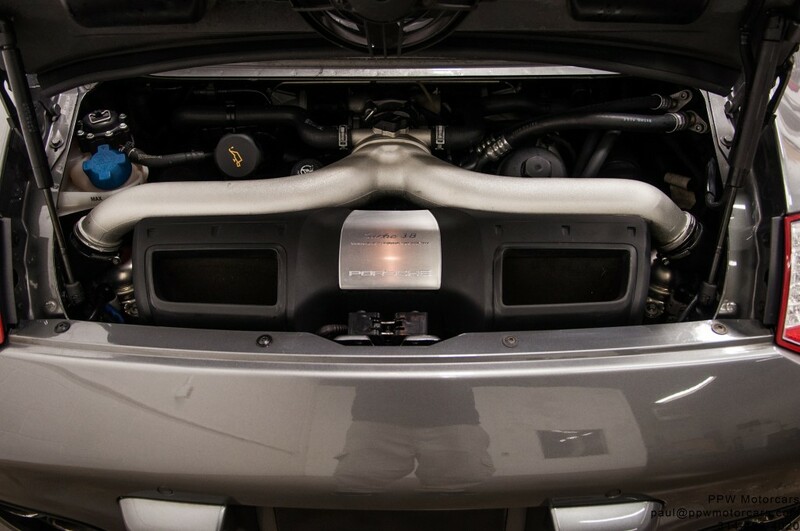 This engine is what people wish they could justify building, and it has just over 2,000 shake down miles on it to ensure that everything is in good working order. 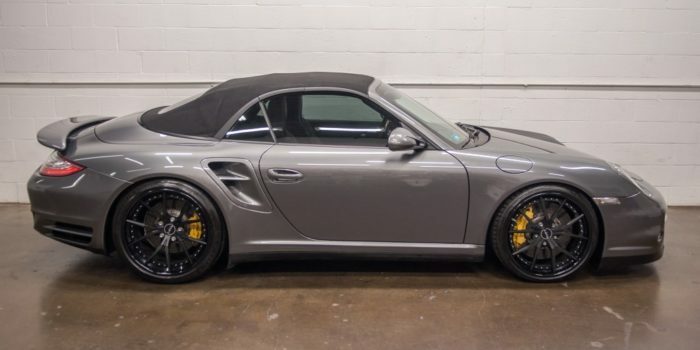 The boost has been kept at a conservative figure during break in but is ready to be turned up to whatever the next owner wishes. 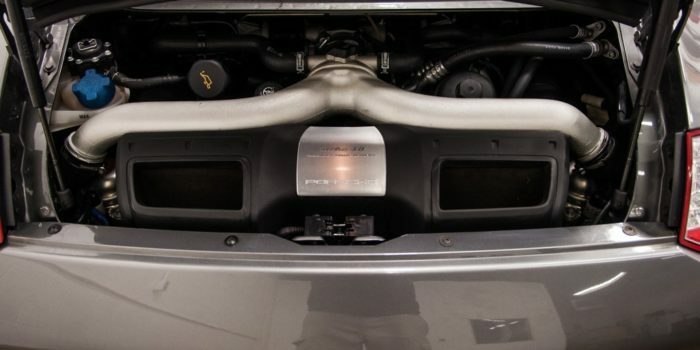 Further, every possible “while you are in there” type of component was replaced while the engine was apart. 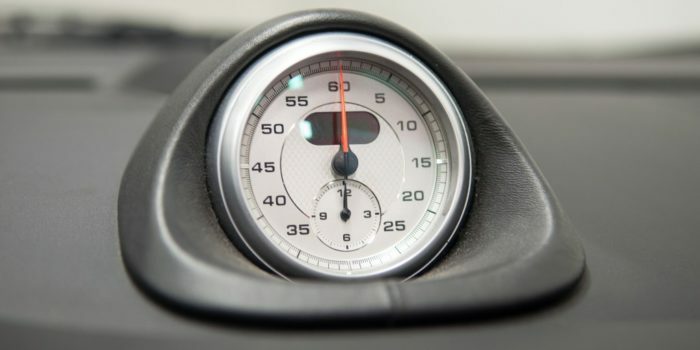 That means all gaskets, timing chains, bolts, sensors, water pump, oil pump, and everything noted in the above chart to ensure that the engine was as close to new as possible and by all intensive purposes, is better and stronger than new. 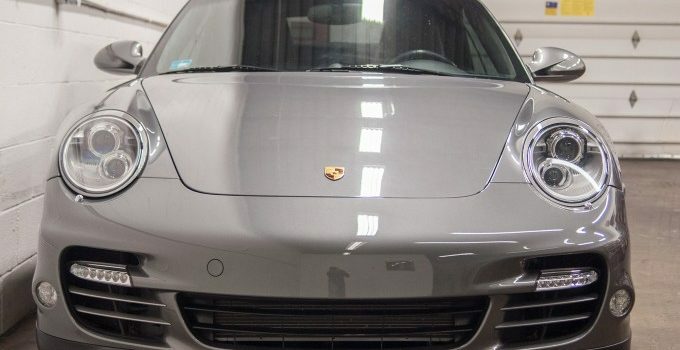 This service totaled over $30,000 and no stone was left unturned. 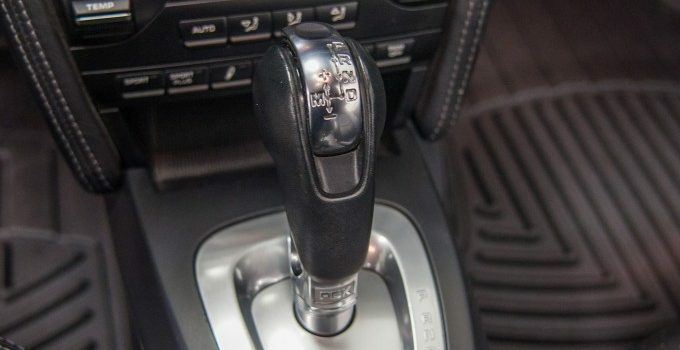 Also important to note, is that this vehicle drives and behaves identically to a stock vehicle. 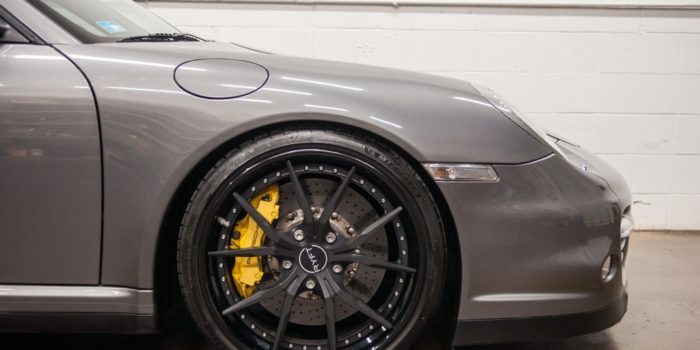 This vehicle is not just a horsepower king either, also addressed was the suspension and it currently sits on KW V3’s with PASM (works with the sport button) and Swift Springs to ensure a comfortable ride but also razor sharp handling, which was just aligned. 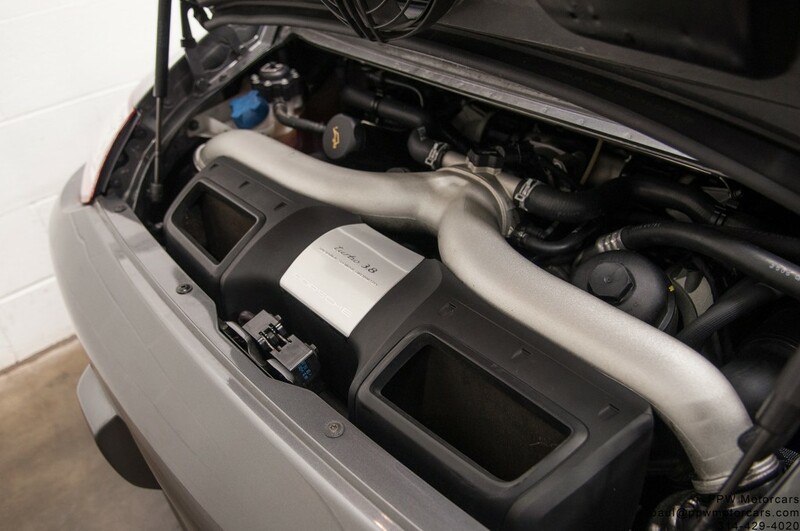 Also, to stiffen things up a hare more three way adjustable sway bar was installed to remove understeer. 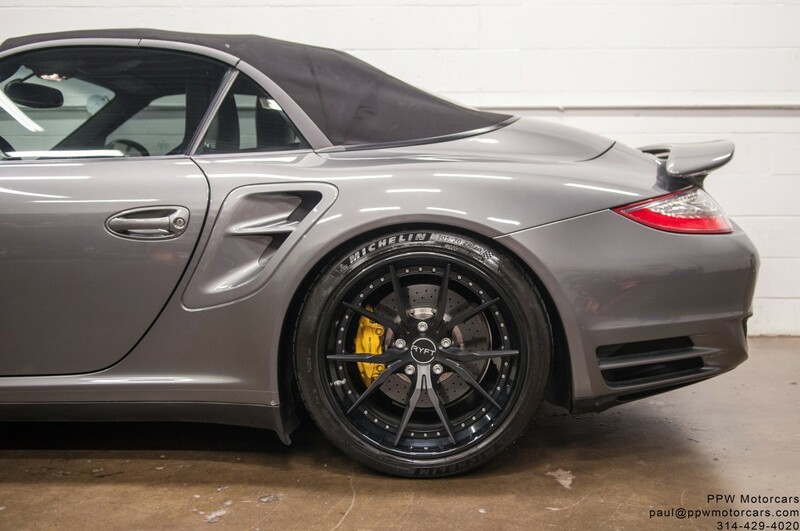 To complete the look the vehicle sits on Bespoke Ryft Wheels and Michelin Pilot Sport 4S tires. 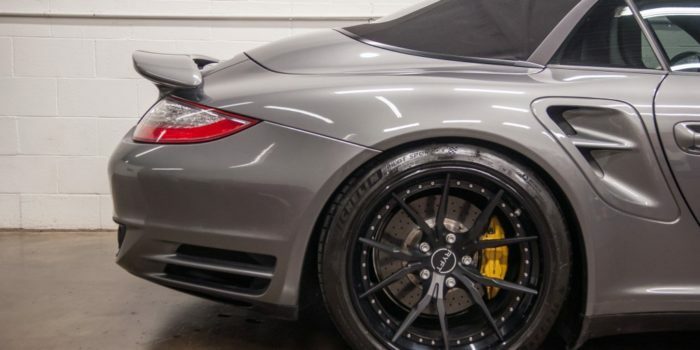 These wheels were truly bespoke and we have photos of the production and design (ask us for them, they are incredible!). 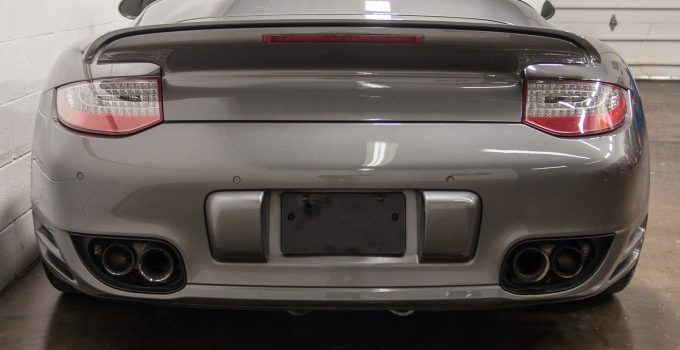 Currently the vehicle has IPE Headers and a 3” Speedtech exhaust (just passed Missouri Safety and Emissions) that sounds just spectacular. 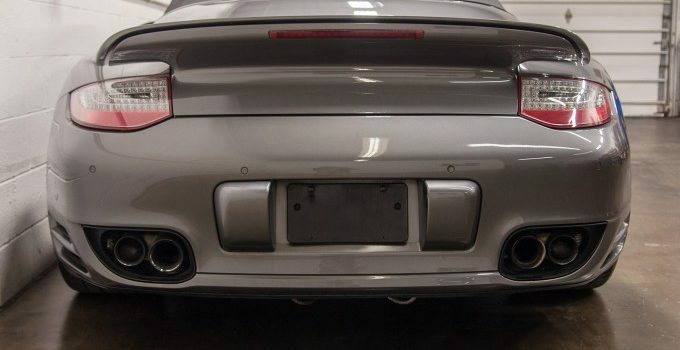 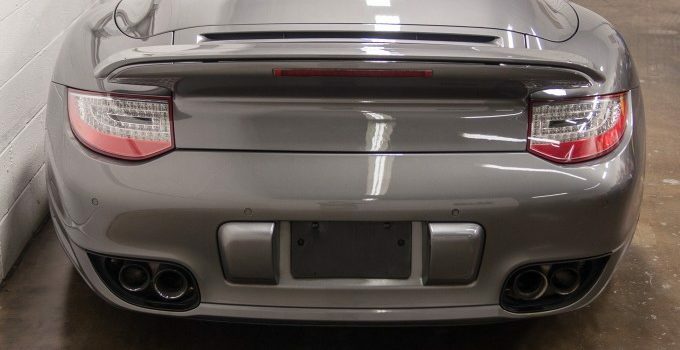 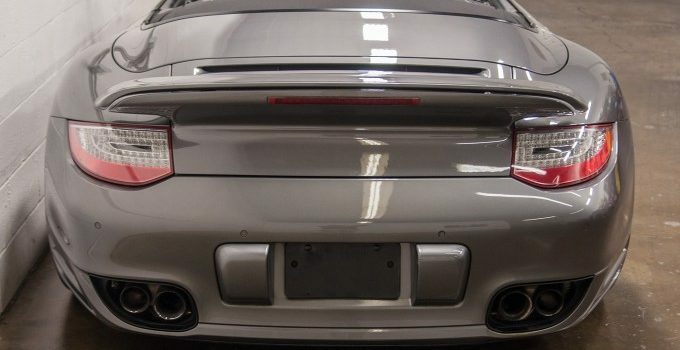 I have owned a few of these 997.2 Turbo’s and have found this to be the best sounding option on the market. 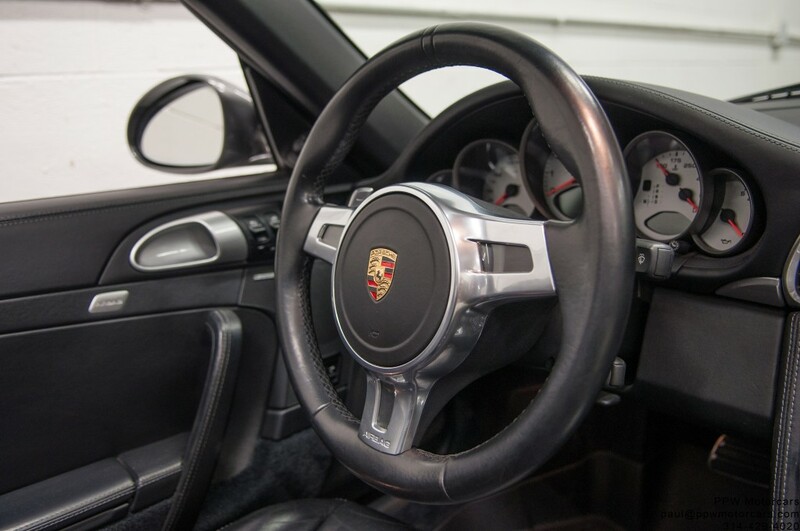 Cruising around it is very civil but with Sport/Sport+ on, it lets loose a howl that would sound at home on a GT3! 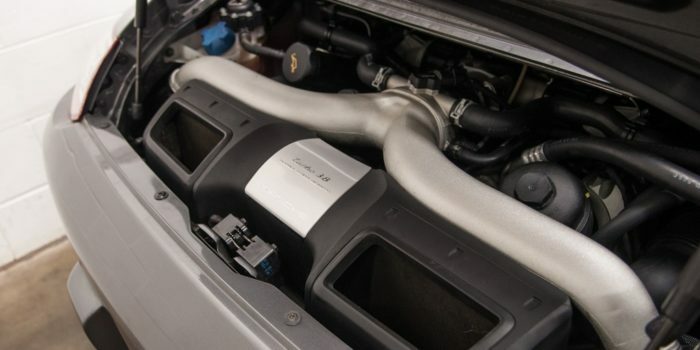 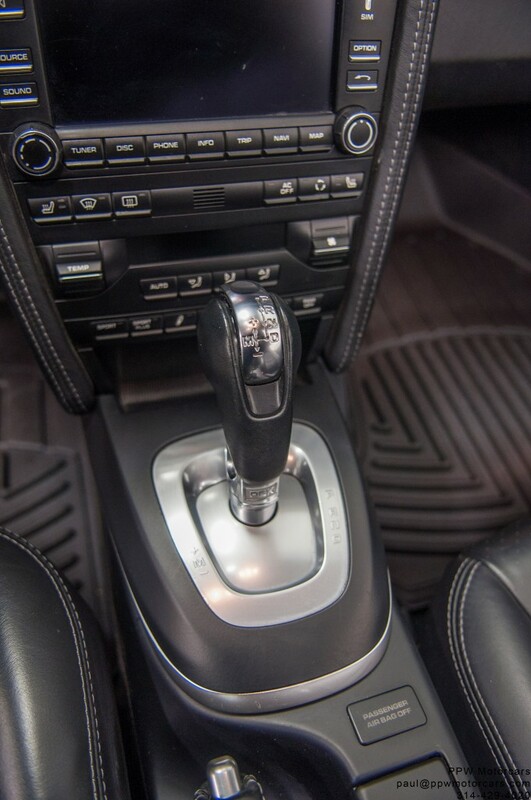 For tuning the vehicle has a Cobb handheld tuner with Cobb’s new PDK software, which is the best platform for any custom tuning the next owner wishes to have done to unleash the potential of this engine. 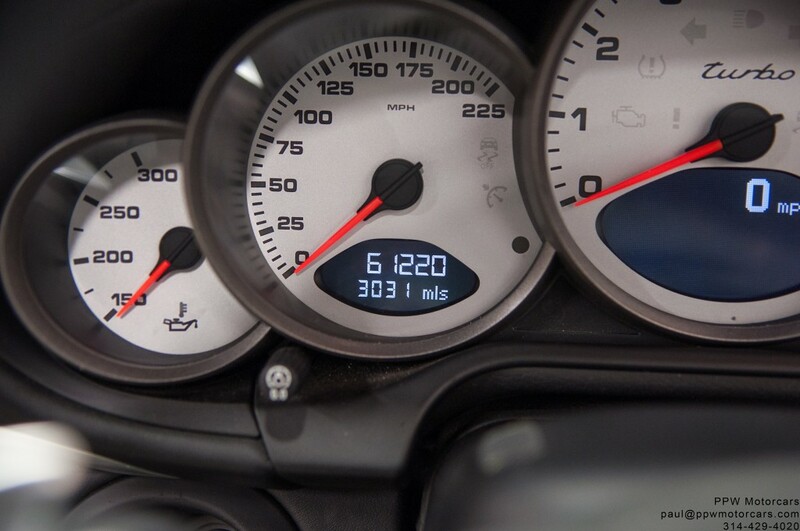 All of this would easily cost another well over $50,000 to do, and the engine has just 2,000 miles on it! Virtually, this car is better than new mechanically and being a southern California car, it shows as a 20,000 mile car. 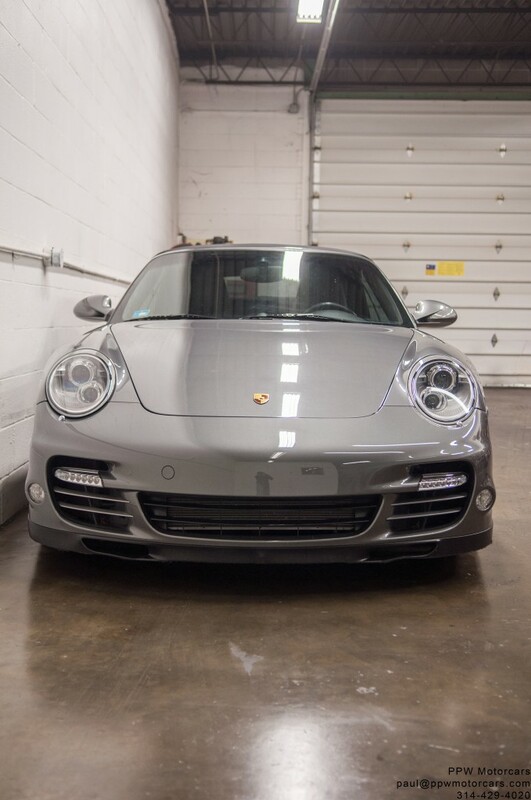 With all the added performance potential, handling excellence, and stunning look, it is our opinion that a better example of the 997.2 turbo does not exist anywhere. 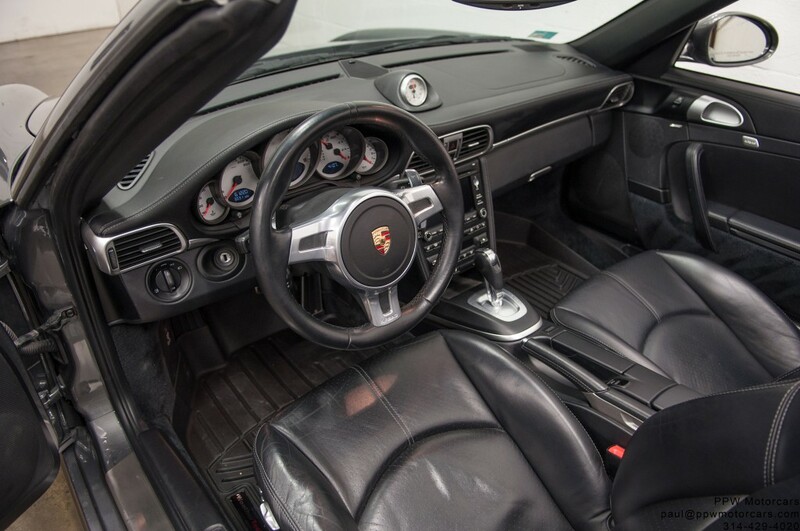 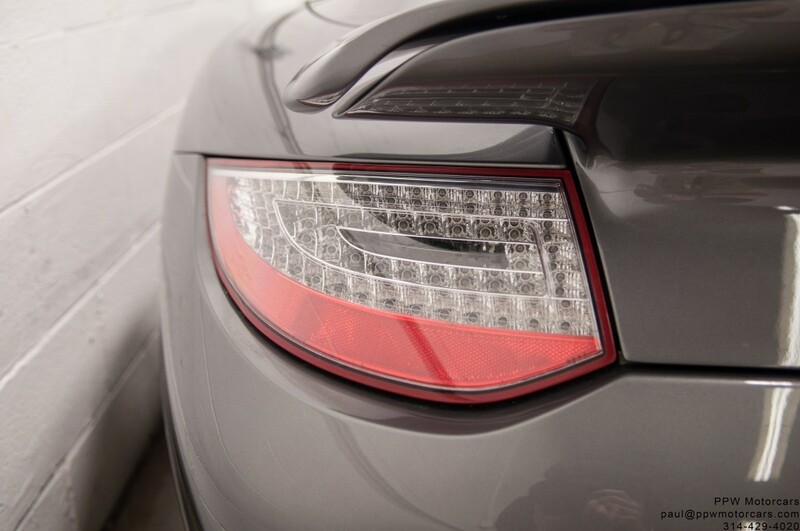 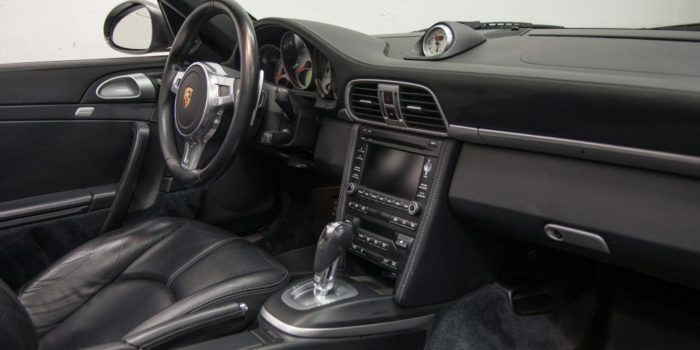 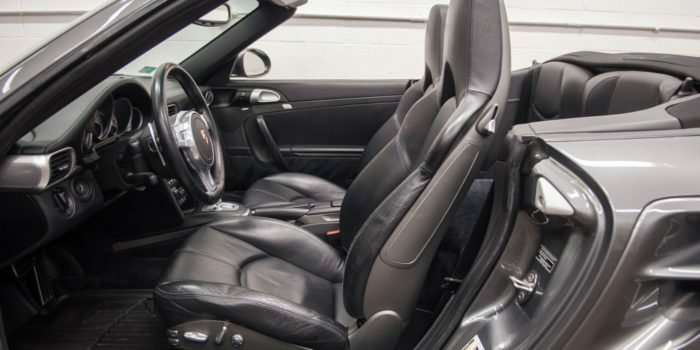 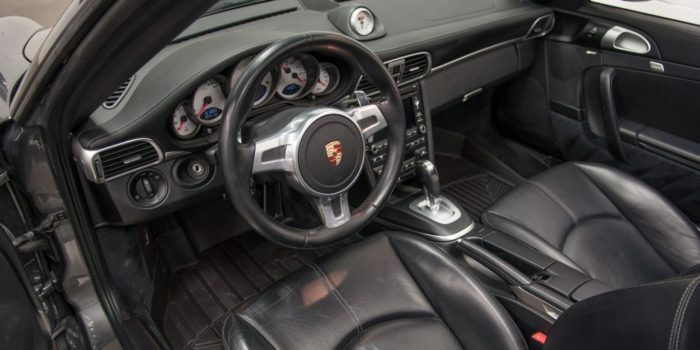 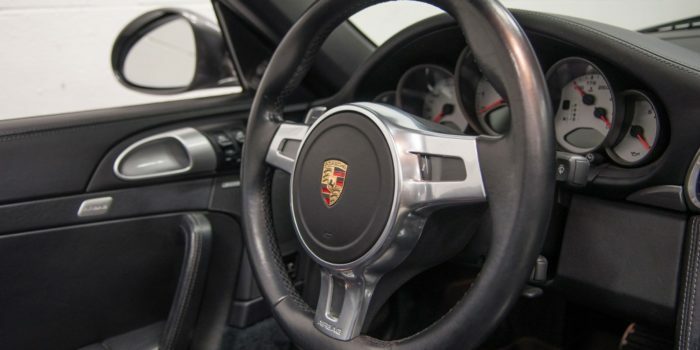 This vehicle is truly the best of the best and as such, this magnificent motorcar is offered for the enthusiast who understands and appreciates a true driver’s experience of this increasingly collectable and iconic Porsche 911 Turbo! 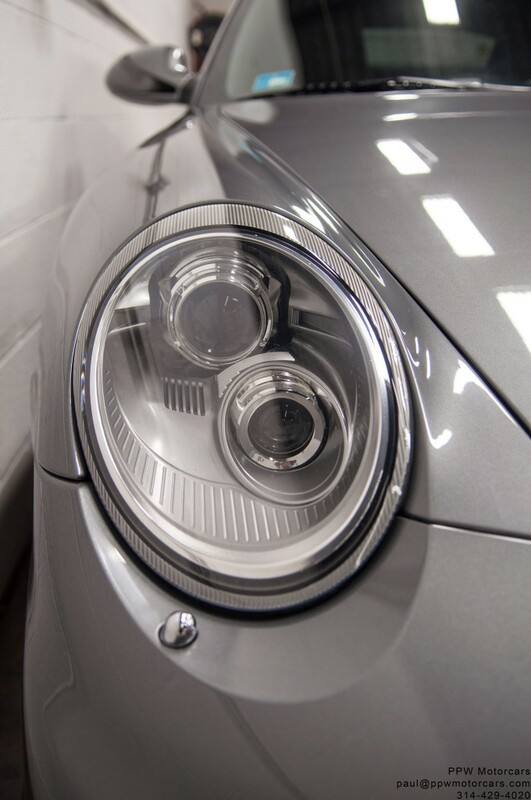 Call us for a complete walk around; we will supply you with a detailed description and answer any questions you may have! 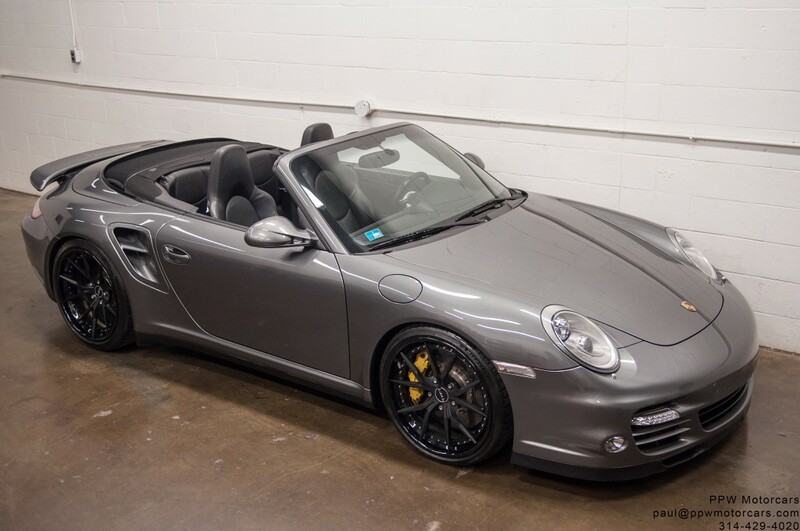 Please call Paul Weishaar 618-791-4020! 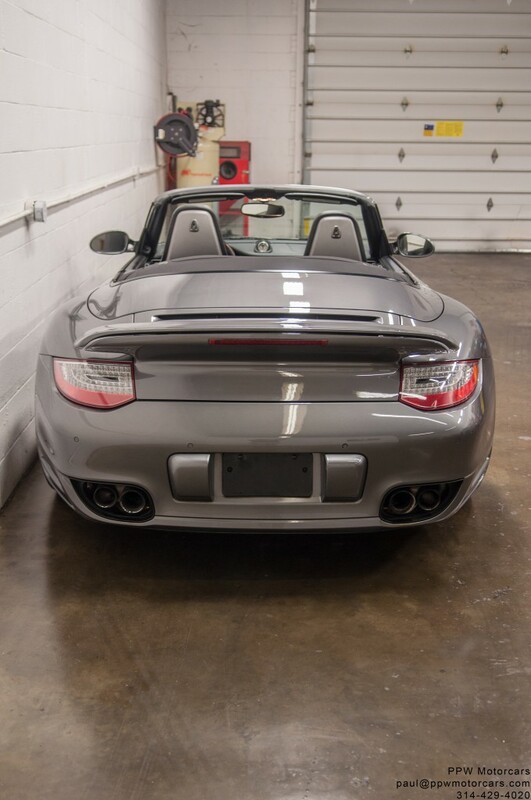 Contact us now at 618-791-4020 for more details! 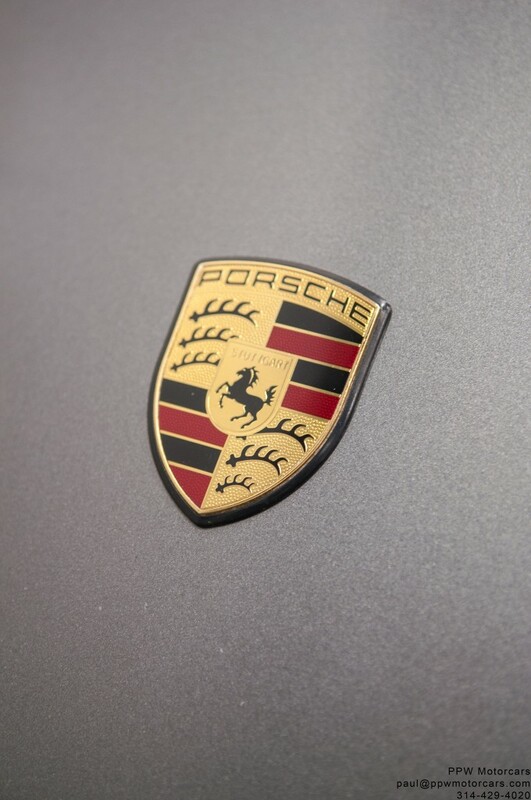 Many transactions happen in as little as one day. 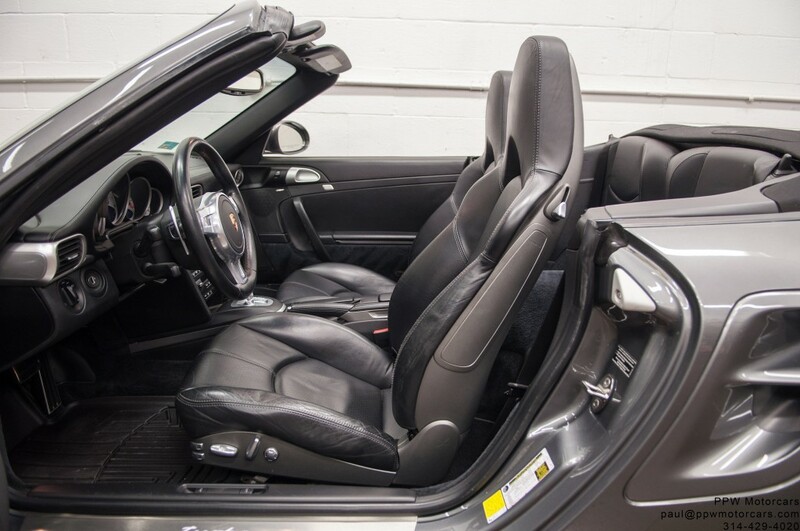 We take care of all the paperwork and transportation.